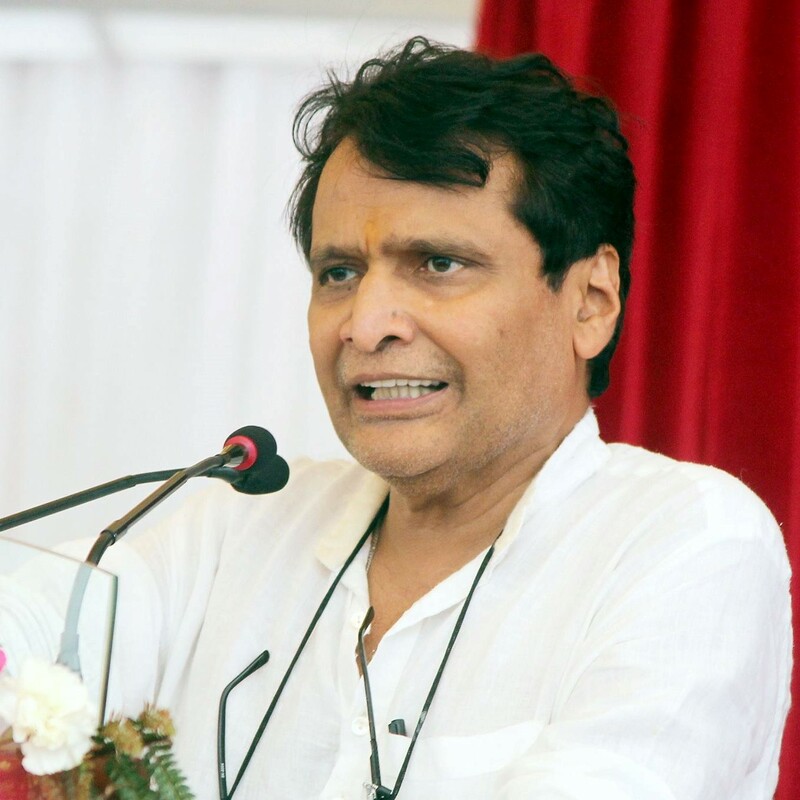 Suresh Prabhakar Prabhu is an Indian politician and currently serving as the Minister of Commerce & Industry and Civil Aviation under the Modi government. 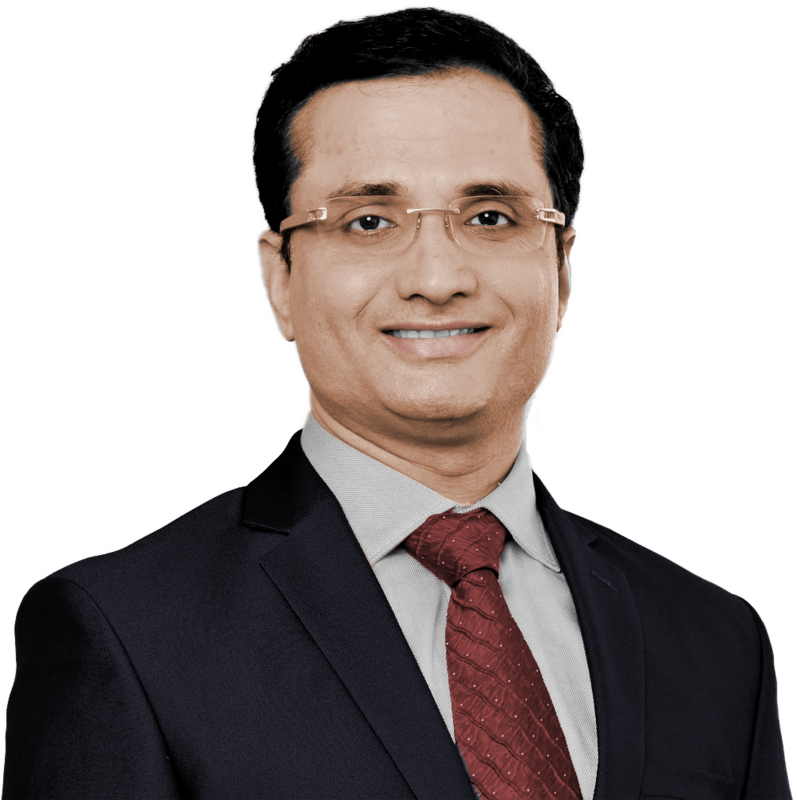 He is a Chartered Accountant by profession and a member of the Institute of Chartered Accountants of India. 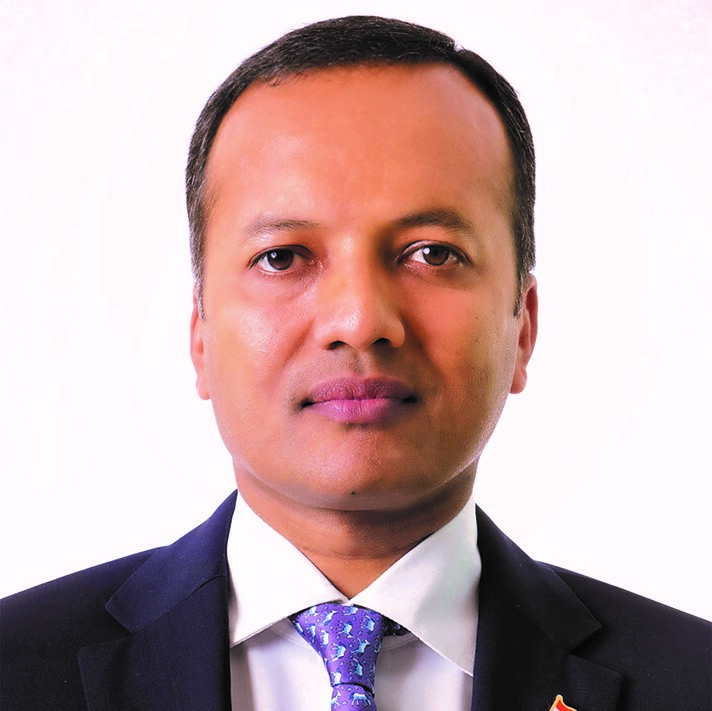 Naveen Jindal is an Indian industrialist, and a former Member of Parliament, Lok Sabha from Kurukshetra, Haryana in the 14th and 15th Lok Sabha. 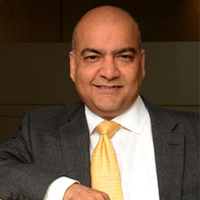 He currently serves as the Chairman of Jindal Steel and Power Limited and Chancellor of O. P. Jindal Global University. 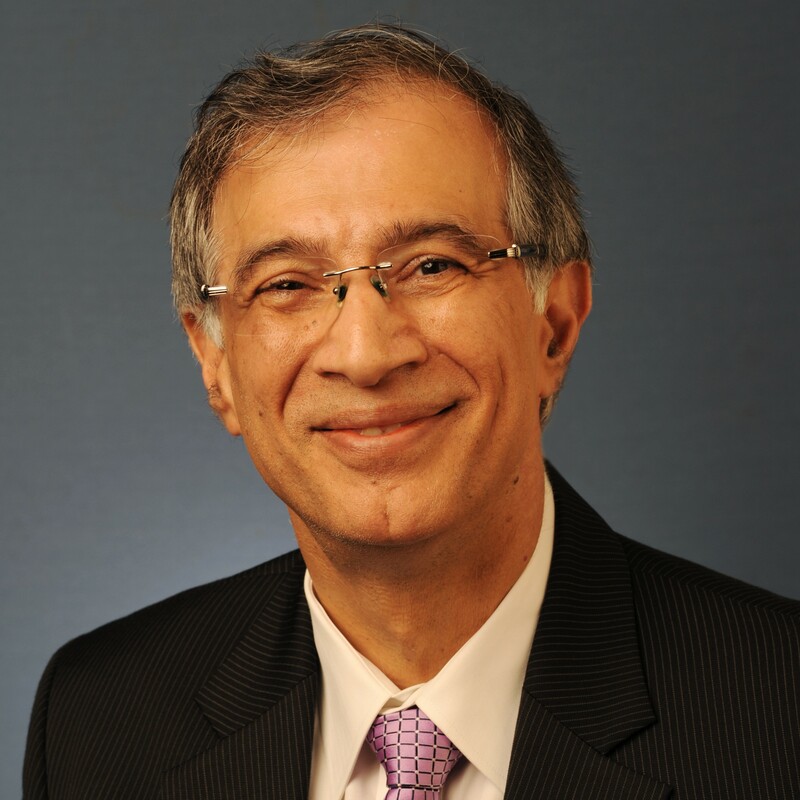 Niranjan Hiranandani is an Indian billionaire entrepreneur, co-founder and managing director of Hiranandani Group, engaged in real estate business. He is ranked by Forbes among the 100 richest Indians. In 2017, he was one of the top 10 Indian real estate tycoons according to the Grohe Hurun report. 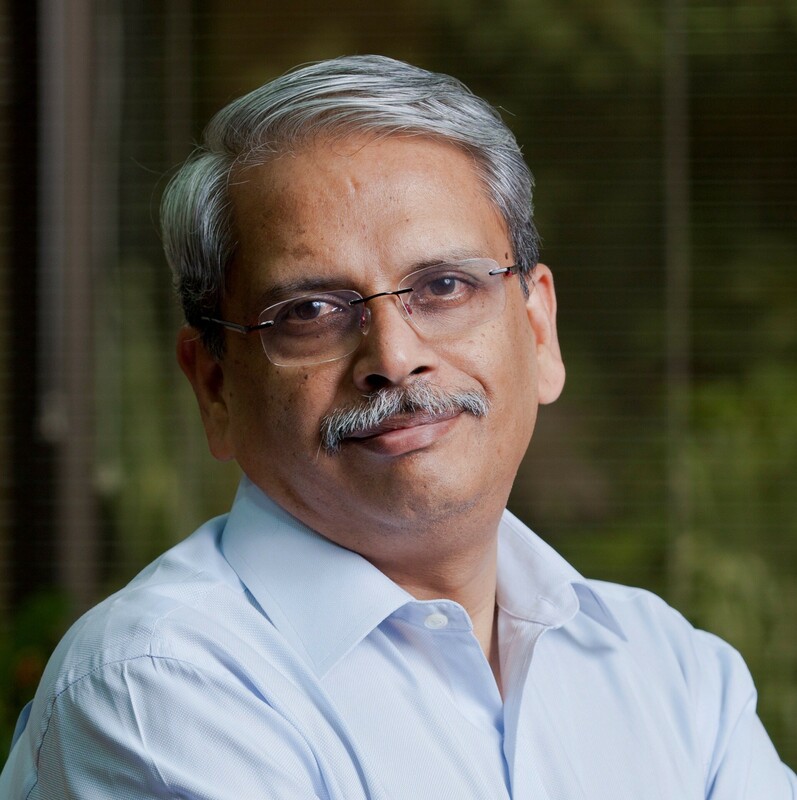 Senapathy Gopalakrishnan, popularly known as Kris Gopalakrishnan, is Chairman of Axilor Ventures, a company supporting and funding startups, was former executive vice chairman of Infosys, a global consulting and IT services company based in India. He is also one of its seven founders. 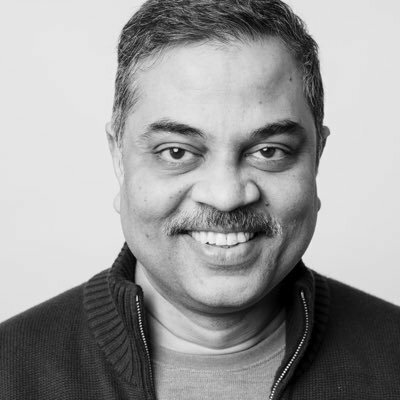 Gururaj Deshpande is an Indian American venture capitalist and entrepreneur, who is best known for co-founding the Chelmsford, MA-based internet equipment manufacturer Sycamore Networks, the Deshpande Center for Technological Innovation at MIT and the Deshpande Foundation. 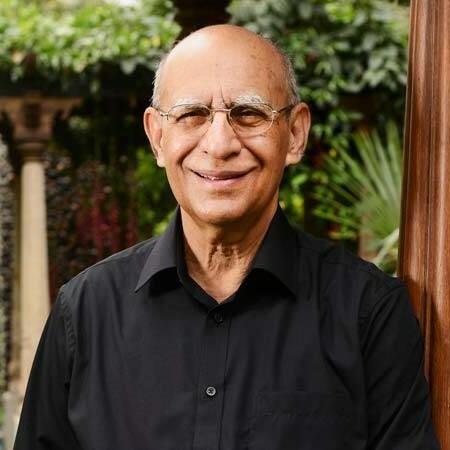 Madhukar Balvantray Parekh is an Indian entrepreneur, Chairman of Pidilite Industries, a global company among the leaders in adhesives and sealants, construction chemicals, hobby colors. 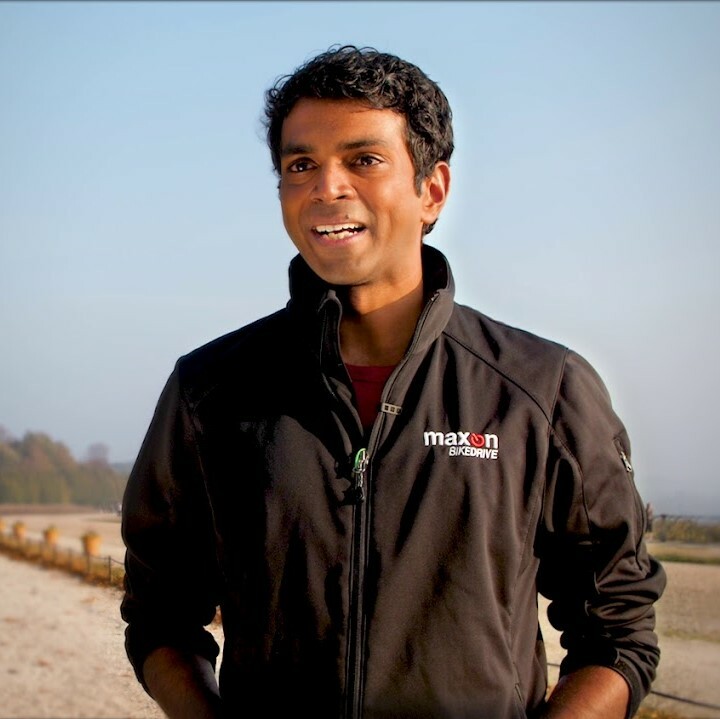 Madhukar is 34th richest Indian with a net worth of $2.4 billions as of 2014. 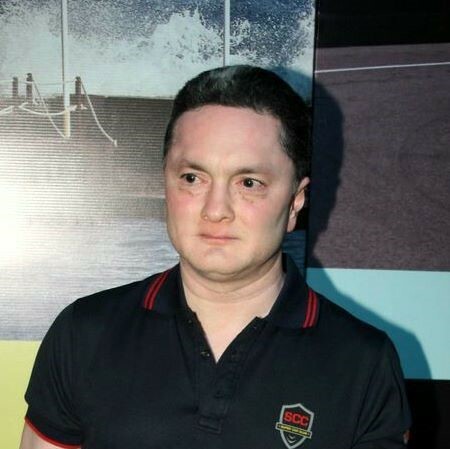 Gautam Hari Singhania is an Indian industrialist. He is the chairman and managing director of the Raymond Group, the world's largest producer of worsted suiting fabric. 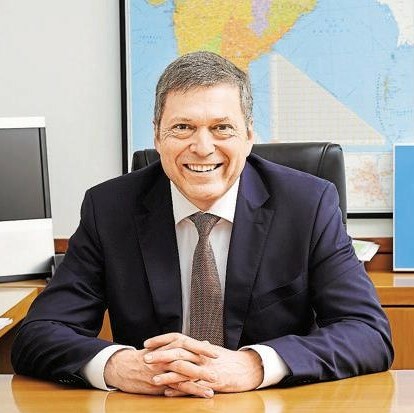 Mr. Guenter Butschek has been the Chief Executive Officer and Managing Director at Tata Motors Limited since February 15, 2016. Mr. Butschek leads all operations of Tata Motors in India and in international markets including South Korea, Thailand, Indonesia and South Africa. He has broad functional and general management skills and wide international experience. Mr. Butschek served as the Chief Operating Officer of Airbus S.A.S. from June 2012 to January 1, 2015. 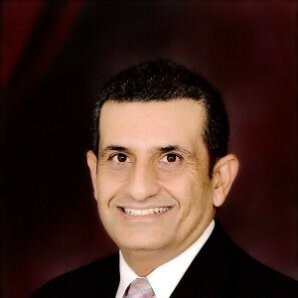 Ahmed ElSheikh serves as Chairman & Chief Executive Officer of PepsiCo India Holdings Private Ltd.
Deepak Kanakaraju is a Digital Marketing Consultant from Bangalore, India. He is also an Author, Speaker and Trainer in the field of Digital Marketing. 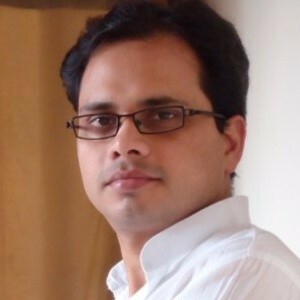 He blogs about digital marketing tips at this blog DigitalDeepak.com. Mr. Warren K. Harris has been the Chief Executive Officer and Managing Director of Tata Technologies Limited since September 9, 2014. Mr. Harris has been with Tata Technologies organization for more than 20 years. He served as the President and Chief Operating Officer of Tata Technologies Limited and Tata Technologies Inc. He served as the Chief Executive Officer and Director of INCAT International PLC from April 2007 to March 2009. Mr. Harris was the Chief Operating Officer and President at Tata Technologies Inc. 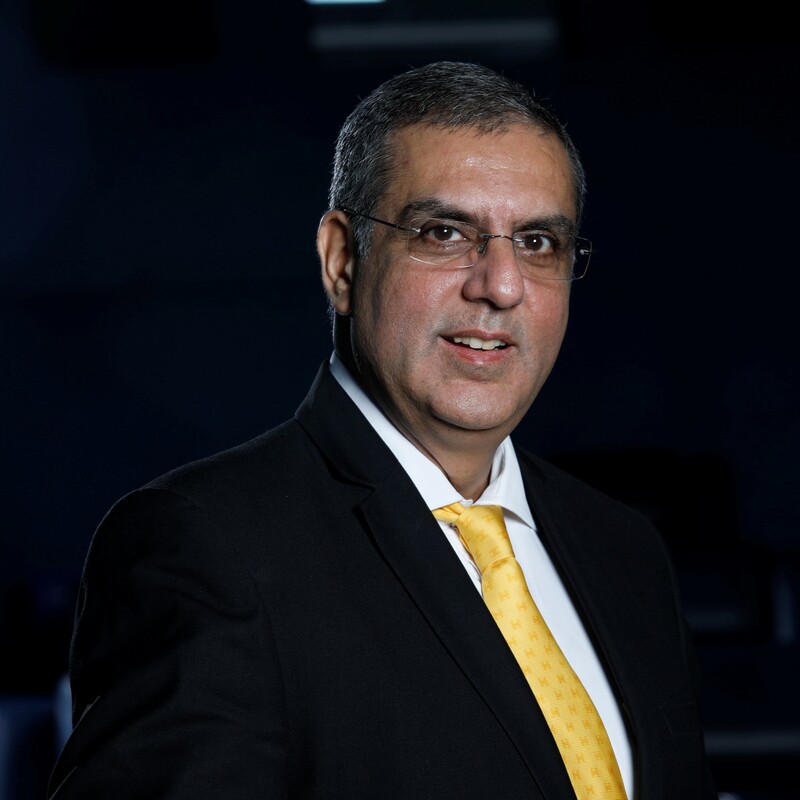 He served as the Chief Executive Officer of Tata Technologies Limited since 1998. Mr. Harris is a recognized authority on global manufacturing. 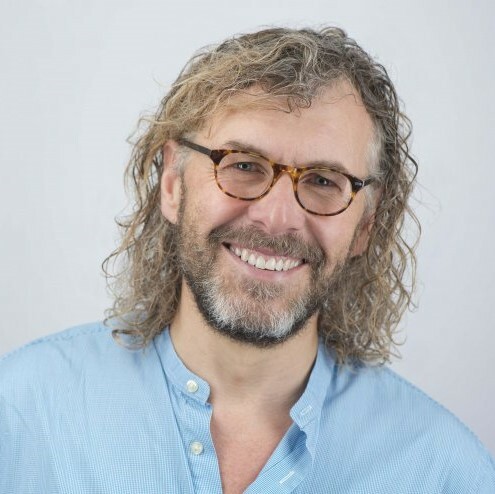 His expertise has been leveraged by media organizations including BusinessWeek, Crain's Detroit Business, Automotive News, The Detroit Free Press, Gannett News Service and Automotive Engineering International. 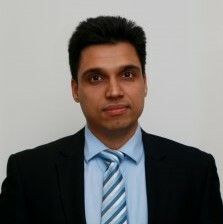 He has been Director of Tata Technologies Europe Ltd. since June 4, 2009. 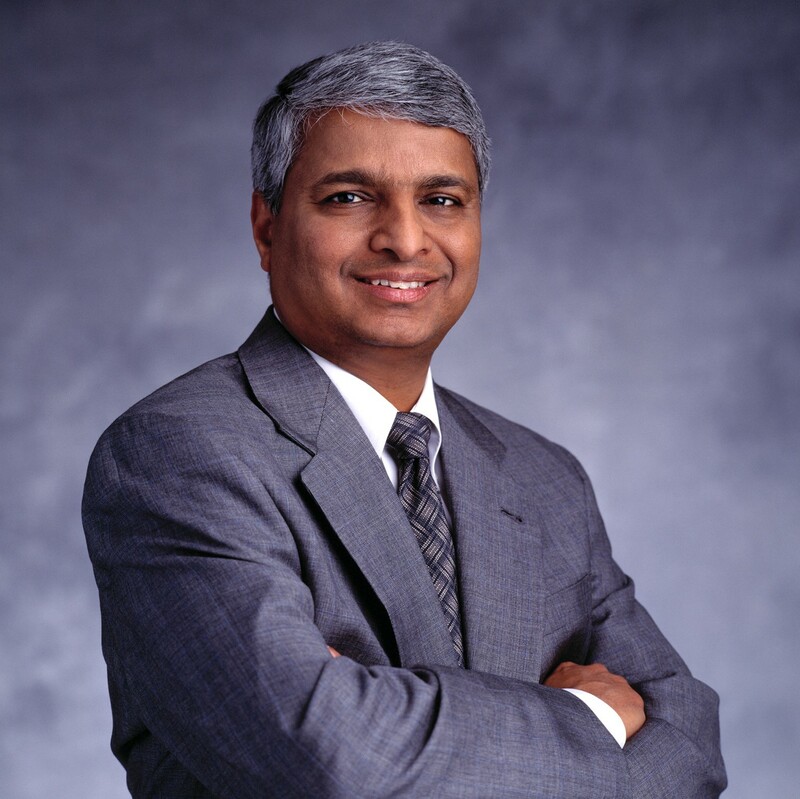 He serves as a Director of INCAT Systems, Inc., Cambric Corporation and Tata Technologies, Inc. 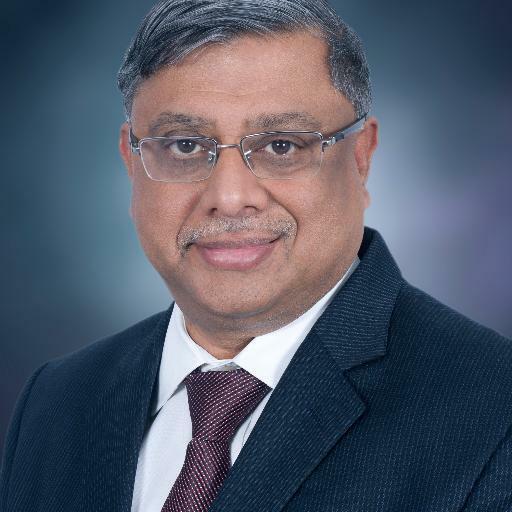 He has been a Director of Tata Technologies Limited since May 15, 2014 and also served as its Director since 1998. He serves as Director of INCAT International PLC. 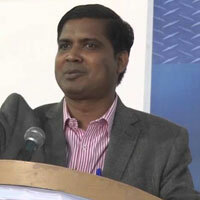 He is a Director of Tata Technologies Inc. He has also contributed his insights to the book, Globality - Competing With Everyone From Everywhere For Everything. Mr. Harris has a Bachelor of Engineering (Honors) from the University of Wales Institute of Science and Technology in 1986. He is a Member of the Institute of Mechanical Engineers and is a Chartered Engineer. 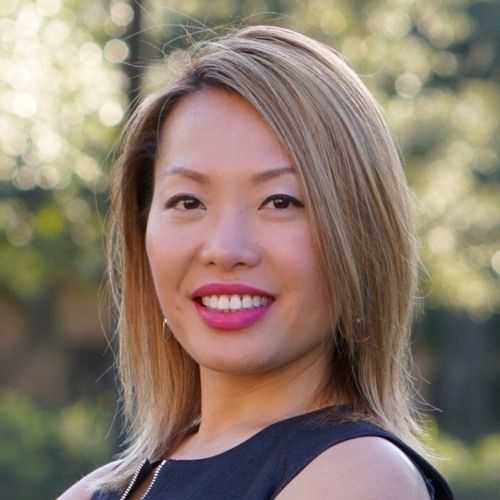 Anna Gong have had the privilege of experiencing the best of both worlds, 5 startups and 3 MNCs in the last 20 years in the enterprise software space solving mission critical business problems. Muskaan Dreams is a youth driven non-profit organization working to ensure E-learning support to the students studying in village government schools. Registered as a non profit in 2014. Currently we are operated in 3 cities across MP & closely working with 1000+ students in different govt schools. 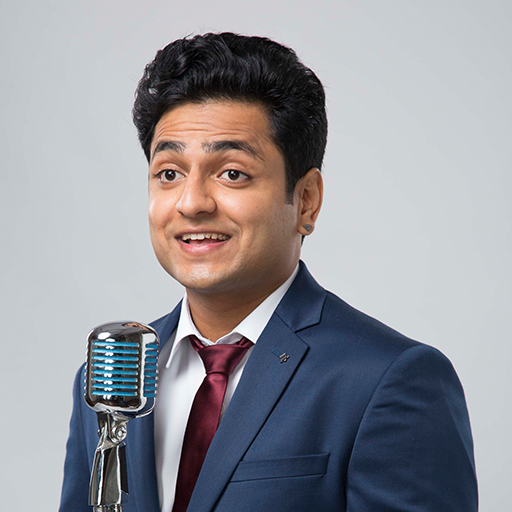 Aman Arora graduated from Delhi University, having acquired a BA (Hons) in Economics. 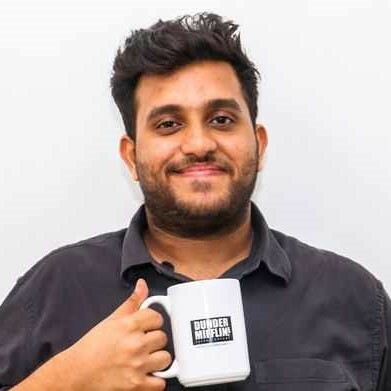 He has a natural entrepreneurial drive and initially found learning ground in the functioning of an advertising company, but because of his overpowering need to create something of his own, Aman turned to Agastya Dalmia and they together decided to re-establish Keventers. With marketing as his strength, Aman switches gears effortlessly from the inception of an idea to its execution. 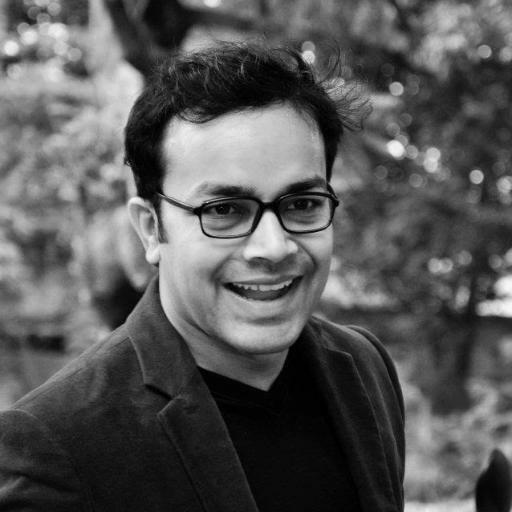 Jaydeep Barman is Co-Founder & CEO at Faasos. 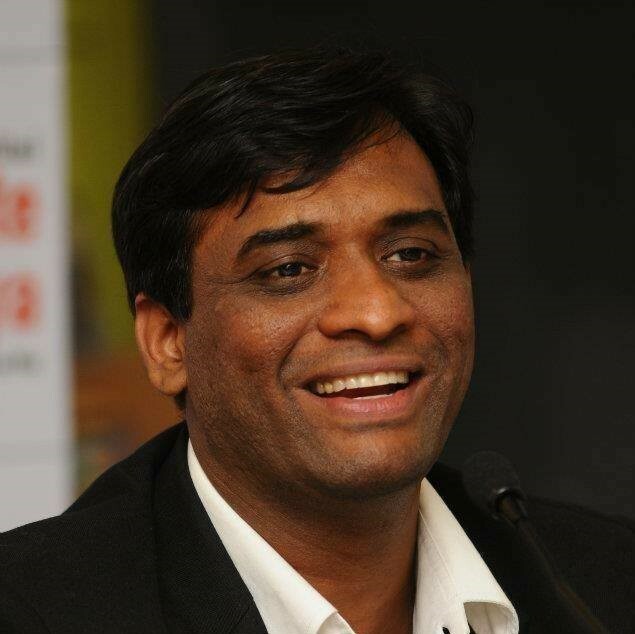 After his MBA from IIM Lukhnow, Jaydeep moved to Pune, Maharashtra to work for Brainvisa Technologies. 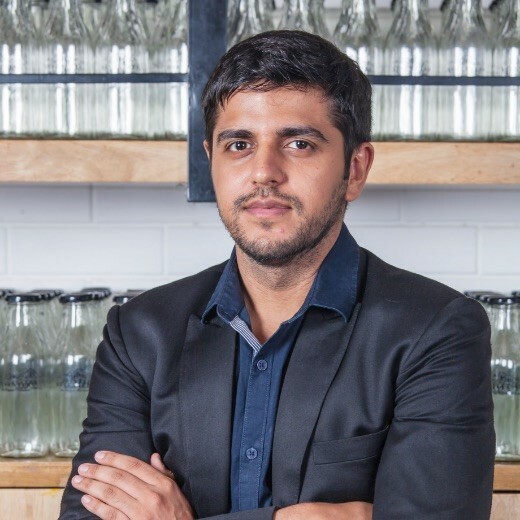 Subsequently, a management programme at INSEAD, France followed and he moved to London to work as a strategy consultant at McKinsey & Co. for 5 years before moving back to India to start Faasos. Leader with 26 years of experience in the telecom industry, covering diverse areas like manufacturing, supply-chain, strategy. Instrumental in driving LTE growth for India and expanding opportunities for adjacent business in-country. Championed technologies such as Internet of Everything (IoE) across the different verticals covering smart cities, healthcare, automotive, wearables, home and industrial automation. He is a professional voice artist. His quest for the right voice started at a very early age. Though he has a degree in engineering he took up a career in voice engineering. His voices have launched many a big brand in the last 22 years and still launching. He has won several prestigious awards for excellence in the field of voicing (Indian Academy of Advertising and Film Art 1993-1999, 2002-03 New York Festival World Gold Medal in Radio Advertising, RAPA 1996, 2004, Indo American Society Young Achiever 2004, Abby Gold 2005, CNBC Golden Cursor Award 2008 to name a few). 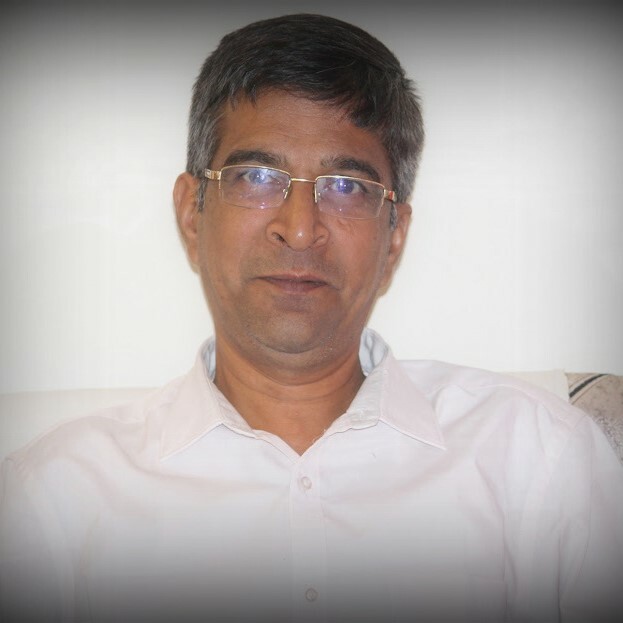 He is presently the C.C.O of Chatterbox India P. Ltd. Established in 2001, Chatterbox India P. ltd. is a creative hot-shop involved in ideation and execution, mainly for Radio and T.V media. Their motto, “Think out of the Box”. It is a coming together of creative professionals. To be precise, it’s a “Blended Scotch”, to give you the best possible creative high. Jugnoo is an auto-rickshaw aggregator providing Logistics as a Service for A2B transport and value added deliveries - doorstep food, fruits, vegetables and groceries. These on-demand transportation and logistics services are provide to both end consumers and businesses. Headquartered in Chandigarh, Jugnoo is currently operational in 30+ cities across India. 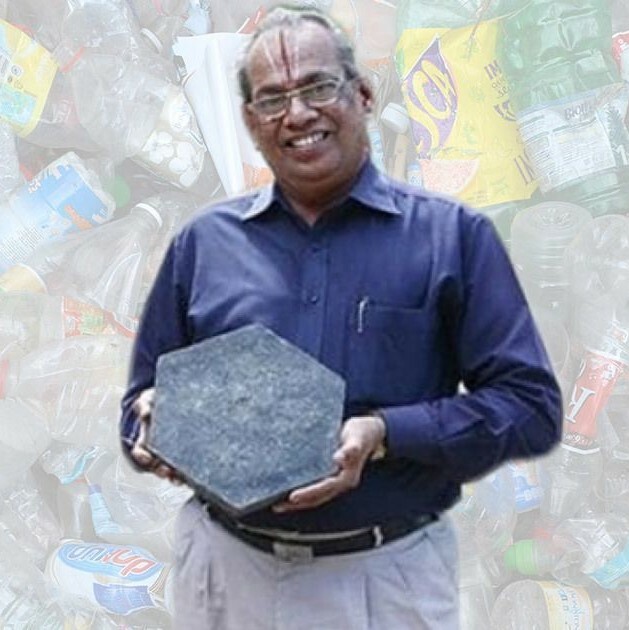 Narayana Peesapaty is the Founder and Managing Director of Bakeys Foods Private Limited- – Developing innovative solutions (grounded on business model) to growing environmental problems, managing the operations, developing the team and all associated functions required for running the Company. He believes that the “Change is inevitable. Before this change can overtake and overwhelm us, we should be the instruments of change”. He created this business to disprove the conventionally known fact that environmental safeguarding and social responsibility rarely integrate with sound business process”. He says, “for Bakeys Foods, environmental and social amelioration is the business”. Co-Founder of Quick Heal Technologies and is responsible for the development of anti-virus product Quick Heal on all the major platforms. I had build and maintained main scanning engine of Quick Heal on all platforms and now leads the dedicated team of software professionals in further development of various anti-virus modules on various platforms and is responsible for design and development of new features in the product. 25 years of international experience in the field of General Management, Sales & Distribution with national and regional responsibilities. Experience of managing profit centre with overall responsibility for all facets of business including Sales, Operations, Finance, Network, IT and HR. Have worked in start-ups and high growth markets with dynamically changing market conditions. In-depth understanding of Fast Moving Technology Goods, Telecommunications and devices. 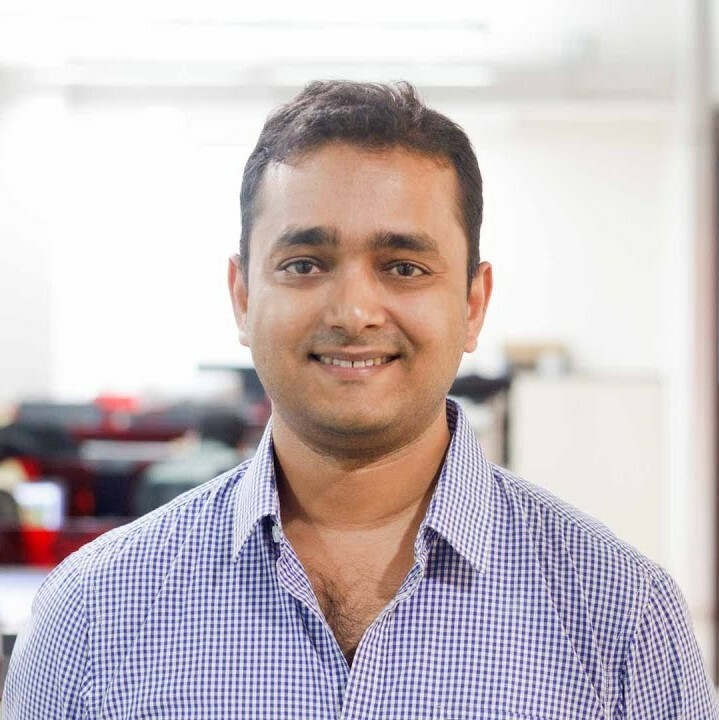 Vaibhav is the Co-founder of ftcash. ftcash is one of India's fastest growing financial technology company, recognized by Forbes, backed by PayPal. ftcash empowers the 60+ million underserved micro-merchants in India through financial inclusion using digital payments and loans. Previously, he was a Director, Global Development at XPRIZE, leading World’s first global prize that targets the problem of access to water. Vaibhav has spent the last decade working in the areas of policy and development across over 5 countries and 20 states in India. He had previously been associated with The World Bank advising Government of India for a $1 billion project on Water Supply and Sanitation. In 2010, LGT Impact Ventures selected Vaibhav as an iCATs Fellow. In 2012, Vaibhav was selected as a Swaniti Fellow and awarded ‘Power 30 under 30’, USA for his work with the Honorable Member of Parliament. In 2014, World Economic Forum selected him as a Global Shaper. In 2016, he was selected as an Acumen Fellow and German Chancellor Fellow under the patronage of the Chancellor of the Federal Republic of Germany. Vaibhav strongly believes in the idea of experiential learning and three of this favorites projects have been the General Election Campaign in 2014 for the Prime Minister of India, participating in World's First Reality Show on Social Entrepreneurship, NDTV – The Real Deal and setting up a private jet company in India. Vaibhav is an alumnus of Harvard University – Kennedy School of Government and NIT Trichy. He is a marketing professional by day and musician by night. He is a self-taught multi-instrumentalist and a music producer working in the music field for over 12 years. Abhijit is also the founder and curator of Dharavi Reloaded, a music project created to provide children from Dharavi a platform to express themselves and showcase their talents. The band creates music from waste material, along the principles of Recycle-Reuse-Respect. The band members have performed more than 200 shows across India and have also collaborated with various national and international artists. LOGO Goli Vada Pav Pvt. 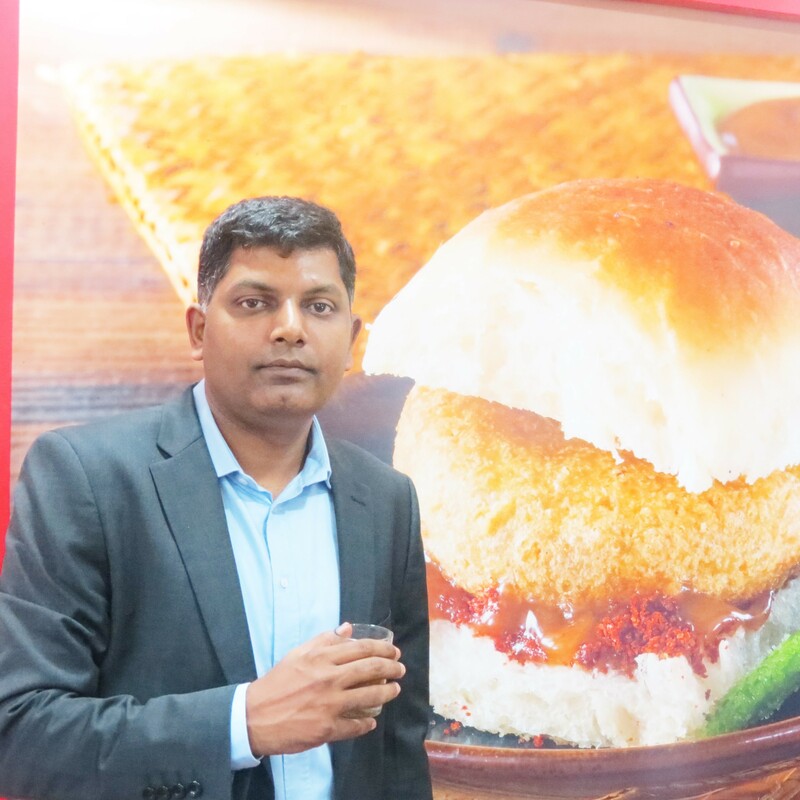 Ltd Type Private Industry	Quick service Restaurants Founded	2004; 15 years ago in Mumbai, India Founder	Venkatesh Iyer Headquarters	Vikhroli, Mumbai ,India Key people Venkatesh Iyer (CEO) Products	Goli Vada Pav, Goli Schezwan Vada Pav, Goli Sabudana Vada Revenue	Increase ₹ 55 Crore (2015) Number of employees 150-200 (2016) Parent	Goli Vada Pav Pvt. Ltd Website	'Goli Vada Pav No.1' Goli Vada Pav is an Indian fast food restaurant chain originated from Mumbai, Maharashtra, India. It was founded in 2004 as a vada pav restaurant by Venkatesh Iyer. Today, Goli Vada Pav has 300 stores in 100 cities across 20 states of India. The expanse is from Gorakhpur in North to Calicut in South and Vadodara in West to Kolkata in East. The Basket of products include varieties of Vada Pavs, Vada Rolls, Curry Pavs, Sides, Beverages and Desserts. Goli Vada Pav is positioned as an alternative to traditional fast food and rivals the conventional burger. The franchise retail chain has now grown to a ₹55 crores business which plans to make a multi-fold jump to ₹350 crores with the opening of 1000 outlets pan-India. 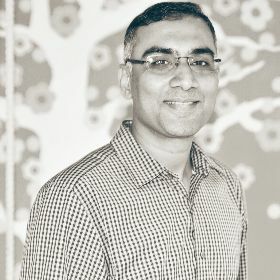 Anand is a founding Partner at India Quotient. He loves writing on startups, studying market opportunities and helping entrepreneurs. He has been an entrepreneur, angel investor, fund manager. 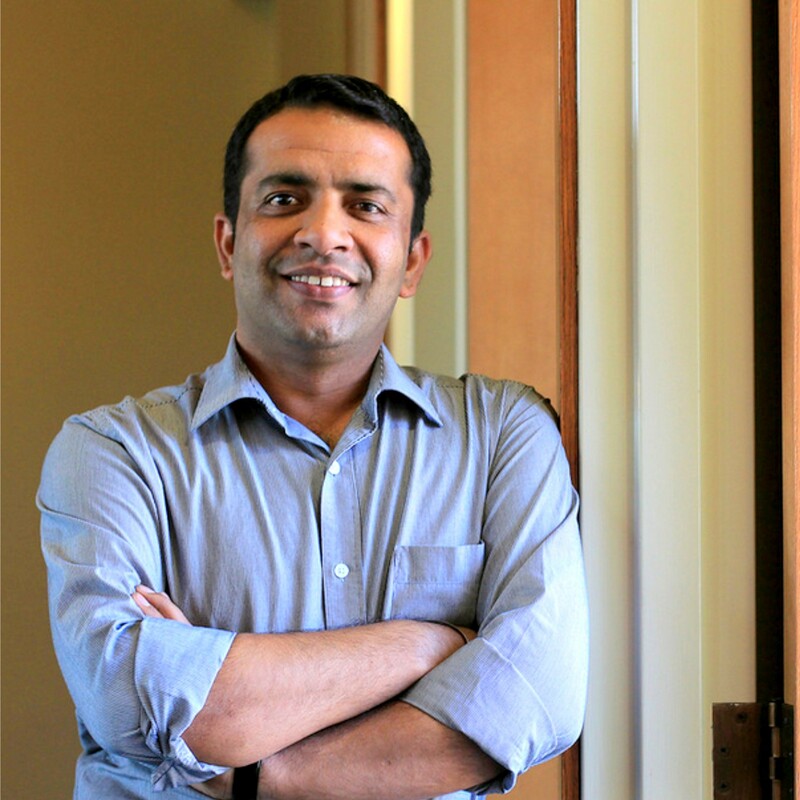 Earlier, he was a partner at Seedfund, known for its exits in Carwale and Redbus. He co-founded Brainvisa, an ed-tech company which he sold in 2005. 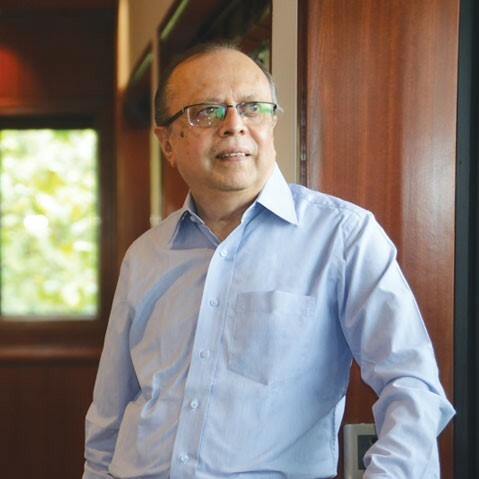 His angel investments include Faasos, Mydentist and Inkfruit. His twitter handle says “Entrepreneur is the king. Not the VC”. On a mission to make healthcare affordable and convenient for millions through technology. 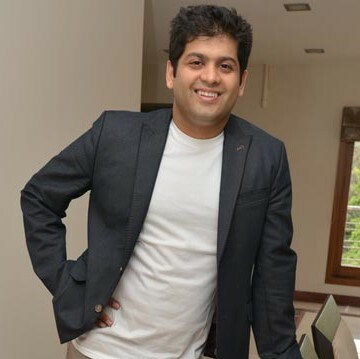 Anshuman Bapna is the Founder of Mygola. Anshuman co-founded and sold RightHalf.com while in undergrad at IIT Bombay. 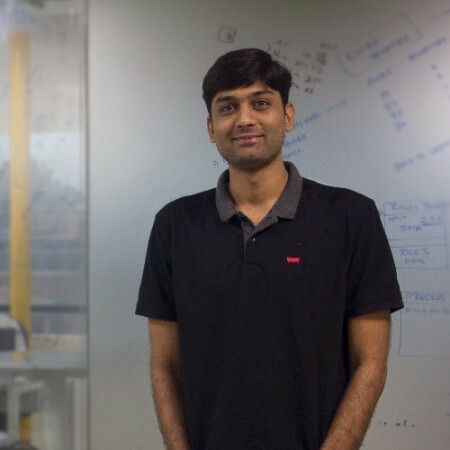 After his MBA at Stanford, Anshuman spent two years in Google's Strategic Partnerships team negotiating Adsense deals with large travel partners. His biggest recent realization: running a travel startup is the best way to ensure that your traveling days grind to a halt. If you are looking for results and not just trainings, you are looking at the right place. An International Trainer and Coach, I specialize in action trainings when it comes to Productivity, Sales, and Leadership. Having trained more than 15000 people across 400+ trainings, MotivationalDiaries is your one stop training company for the results you crave from your teams. 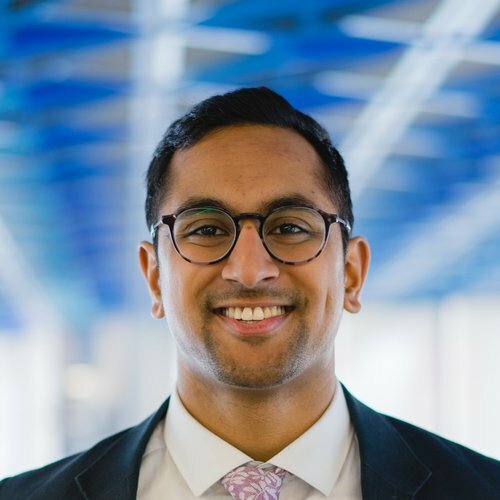 A lifelong Manchester United, Mumbai Indians and Indian Cricket Team fan, Harsh completed his engineering from the University of Pennsylvania and his MBA from Columbia Business School. 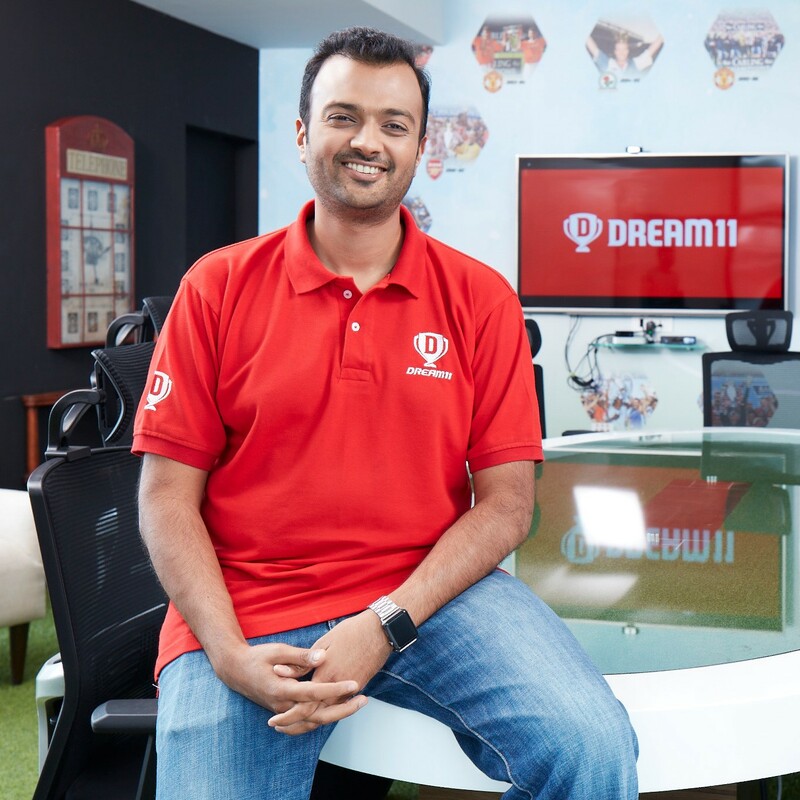 Bringing together his love for sports, gaming and technology, Harsh pioneered freemium single-match fantasy sports in India in 2012 and is focused on evolving every single Indian Sports fan to a Fantasy Sports user on Dream11. I am Sushil Reddy, an IIT Bombay graduate from Mumbai, India. I work in the field of Solar Energy in India. There are exciting times ahead in the renewable energy sector in the developing countries. A Senior Management professional with the creative ability to ideate, the discipline to effectively execute, the daring to scale and the financial acumen to deliver superior return on capital. A strategic Supply Chain & Procurement professional, I have been responsible for planning, negotiating, developing Sourcing and Business strategies and optimization opportunities for organizations. As a result driven entrepreneur I have lead procurement transformation and new-age innovation for businesses. My areas of expertise include Strategic Sourcing, Supplier Management, Contract Management, Digital Innovation in Procurement and Strategic Alliances. Full stack Transaction Banker with over 17 years of experience across Relationship Management & Sales, Product Management and Global Strategy roles. Have led businesses in US, HK, Japan, Taiwan and India. Street Diligence was founded in 2012 by a former hedge fund manager to identify and negotiate away off-market terms and take the frustration out of due diligence. Unlike existing resources that include opinionated covenant research, Street Diligence distills the factual, underlying data and risk metrics of each covenant, enabling analysts to form their own opinions and negotiate better terms. Our platform makes negotiating and analyzing credit agreements, indentures, limited partnership agreements and their amendments much more effective. 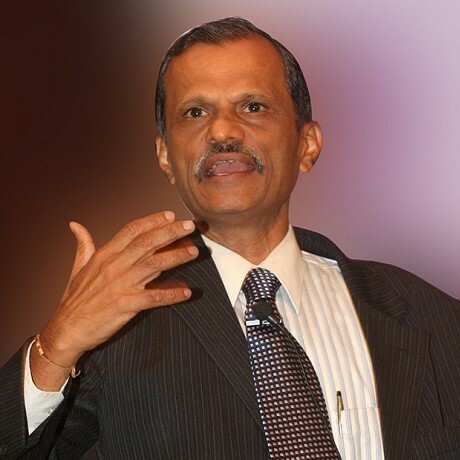 Sriram Athri is a motivational speaker.Sriram Athri is one such individual who has over 30 years of experience as the Top Motivational Speaker and proves to be a life coach in the International Corporate World. Being a First Generation Entrepreneur, Sriram has hands-on understanding of insights in the corporate world. His Seminars, Training and Workshops are inspired by his Guru Swami Sukhabodhananda. Swamiji has conducted years of research on core spiritual factors leading to the corporate excellence with Inner tranquility. Vaibhav Agarwal is the CEO of Inc42. Inc42 Media is India’s No.1 new age tech media platform fostering entrepreneurship and the source for digital culture & innovation for the connected generation. 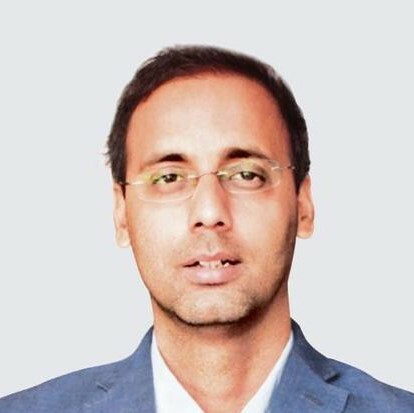 Vikram Gupta is the Founder and Managing Partner at IvyCap Ventures Private Limited, A Venture Capital Fund Management Company focused on professional entrepreneurs. 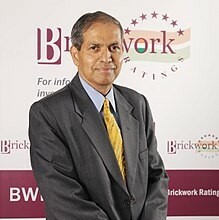 Vivek Kulkarni is the MD of Brickwork Ratings - credit rating agency of India. 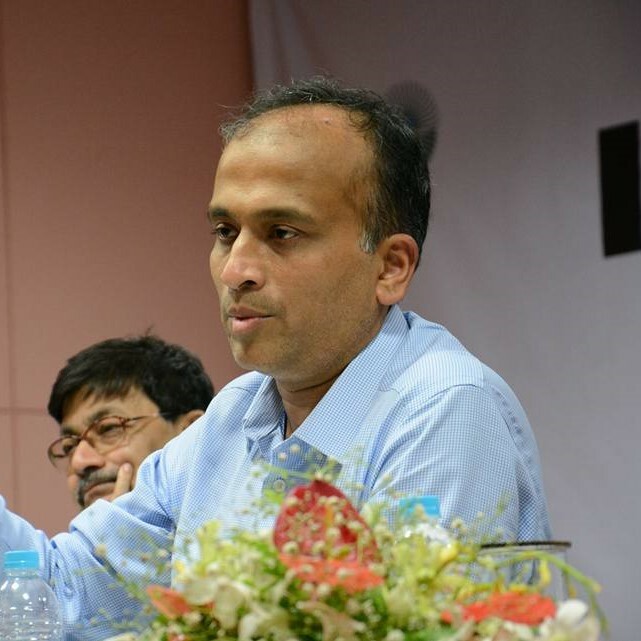 Vivek is the Indian Administrative Service officer from Karnataka. 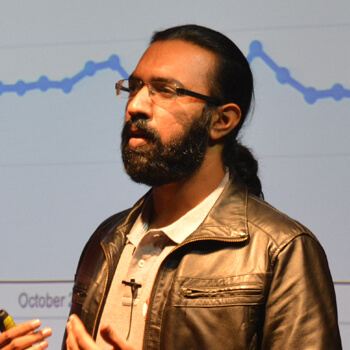 Vivek Prakash is the CO-founder and CEO of Hackereath. HackerEarth provides enterprise software solutions that help organizations in their innovation management and talent assessment endeavours. HackerEarth Recruit is a talent assessment platform that helps in efficient technical talent screening allowing organizations to build strong, proficient teams. 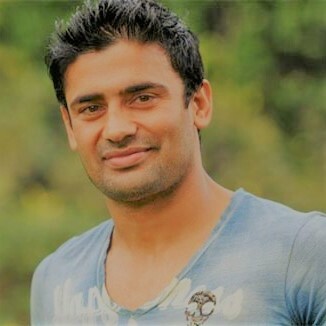 Vivek Prakash is a graduate of IIT Roorkee where he majored in Computer Science and Information Technology. He has interned at Amazon and Google Summer of Code, where he worked on system programming and contributed to operating systems. He loves building developer friendly tools and is passionate about improving the programming experience. He launched a tool for compiling and running code online which attracted 25,000 compilations in the first week. I currently head Gray Matters Capital as CEO- India. Gray Matters Capital (GMC) is a leading global Impact Investment Fund, based out of Atlanta. GMC focusses on making early stage investments in education enterprises. Education enterprises include enterprises catering to affordable private schools, skilling for 21st Century and work force participation for low income households. GMC is committed to gender lens investing. I represent GMC on the boards of Indian School Finance Company and Address Health. I have over 16 years of comprehensive experience in the Social Enterprises, Financial Inclusion and Impact investment Space; across grass-root organizations, small and emerging MFIs, Development Financial Institutions and Donors. My scope of work has spanned across organizations in India, Afghanistan, Bangladesh, Cambodia, Indonesia, Sri Lanka, Uganda and Nepal. In the early stage of my career, I co-ordinated livelihood restoration projects and rehabilitation programs, where I evaluated proposals, developed monitoring framework, monitored project activities and set priorities for field teams. As my career evolved, I contributed to social performance management practice in microfinance, and worked on integrating gender lens in social performance. I worked on setting up equity funds for investments in microfinance institutions. I designed the due-diligence matrix for institutions which included both social and financial performance indicators. Earlier with DFID I have been involved in providing strategic direction to programmes for financial inclusion. I set up of technology advisory, product development advisory and mechanisms for gender assessments for projects, conceptualisation of funds and bringing in synergies for donor supported financial inclusion work in India. I also represented DFID on investment committees of two Impact Investment Funds and had the opportunity of interacting with several social entrepreneurs. Nivruti Rai is the India Head of Intel. She is one of the first Indian-American to receive permanent visa status in India. She has been involved in championing machine learning and other fields in necessary areas like road safety. 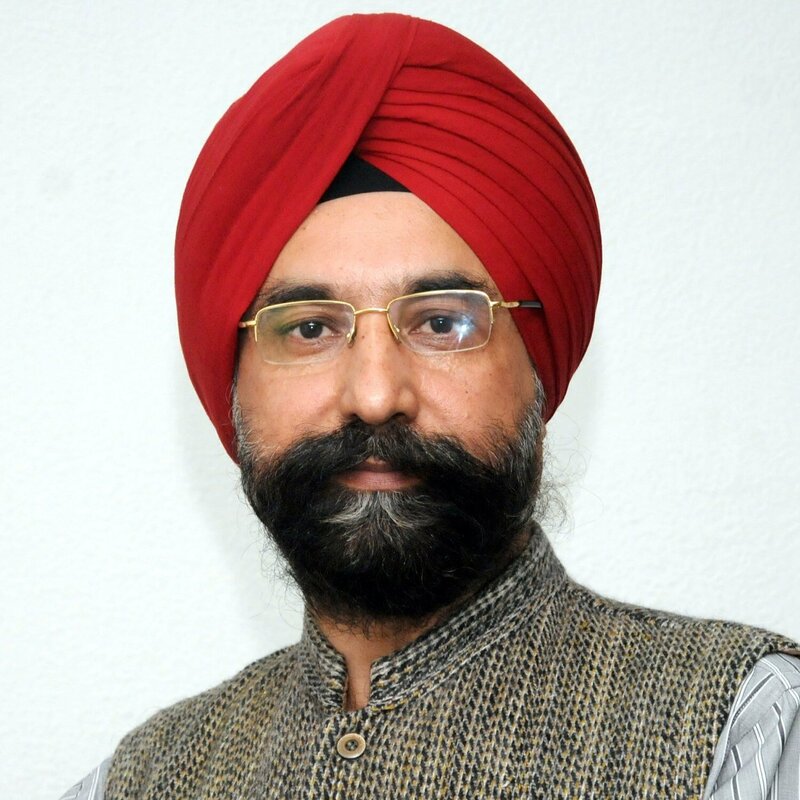 Mr. Sodhi is the current managing director of the milk cooperative Amul. 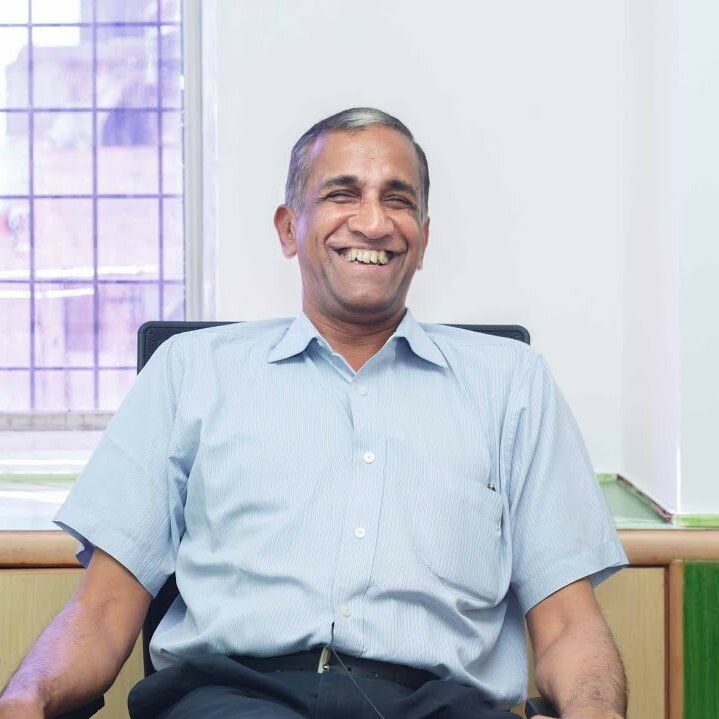 A first-batch alumnus from the Institute of Rural Management Anand(IRMA), he has been providing dynamic leadership to Amul for more than 35 years. 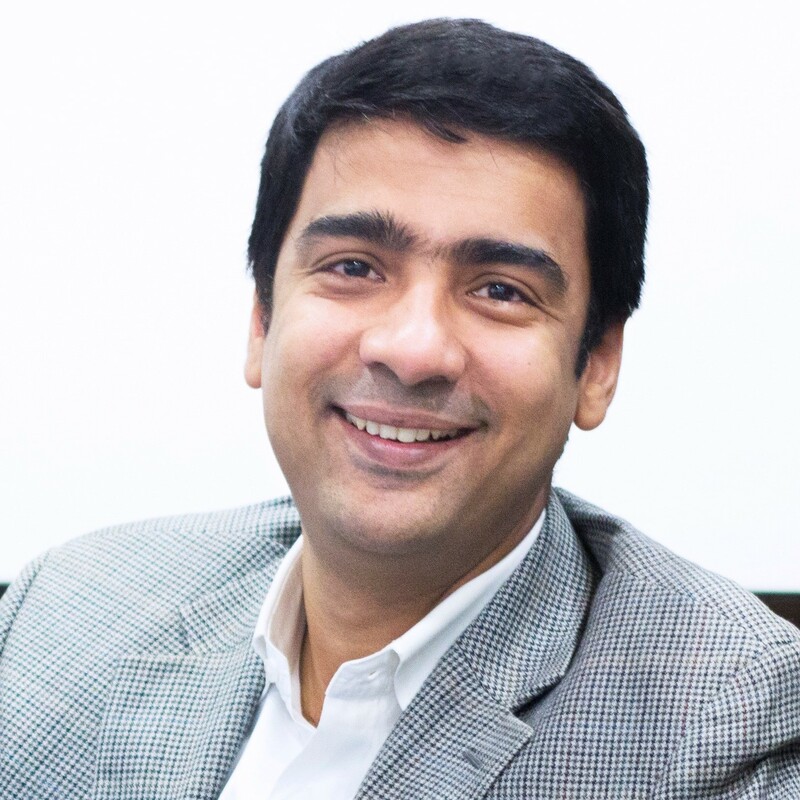 Mr. Harshil Mathur co-founded Razorpay Software Private Limited in May 2014 and serves as its Chief Executive Officer. 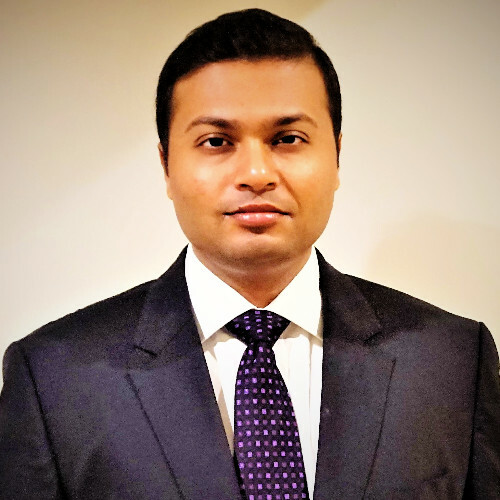 He is the Executive Director of Razorpay, Inc. Mr. Mathur served as Wireline Field Engineer at Schlumberger from June 2013 to February 2014; and President at SDSLabs from July 2009 to May 2013. 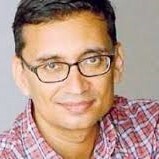 Mr. Hemant Mohapatra is a Partner at Lightspeed Venture Partners. 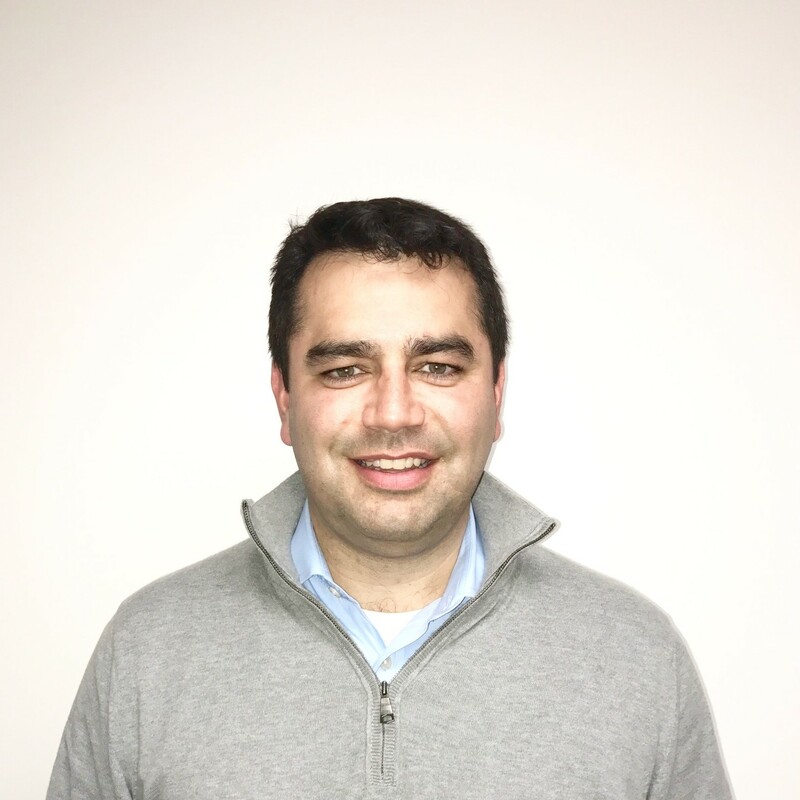 At the firm, he focuses on investments in consumer internet and enterprise software start-ups. He was a Venture Capital Partner at Andreessen Horowitz. 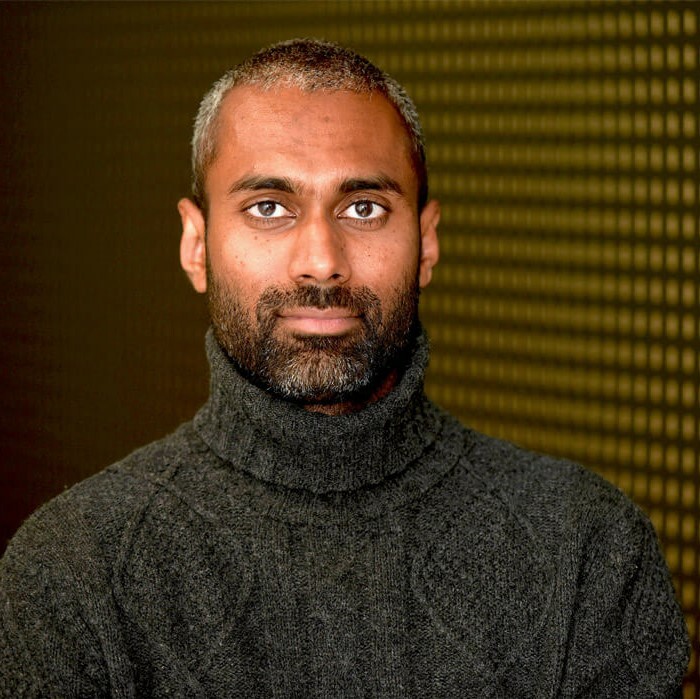 He is a former Google executive, while he was a Partner at the Andreessen Horowitz, focused primarily on enterprise technology investments and served as a board observer at start-ups such as Cumulus Networks, Actifio and DigitalOcean. 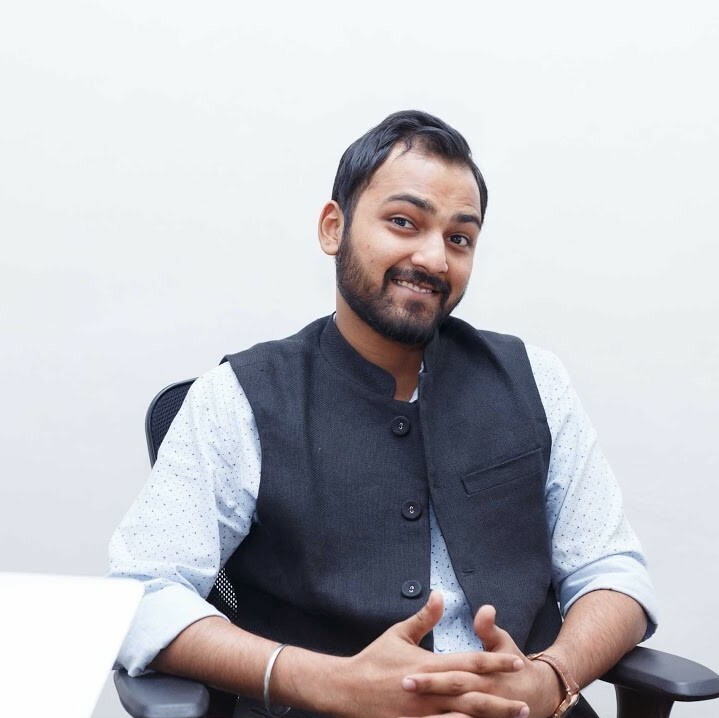 Niranjan Nakhate started Frapp where he is building the largest student task force from India.He is a finance grad, financial associate turned entrepreneur. In his short career as a financial associate, he was a part of the investing team at ah! Ventures, a Mumbai based angel network. 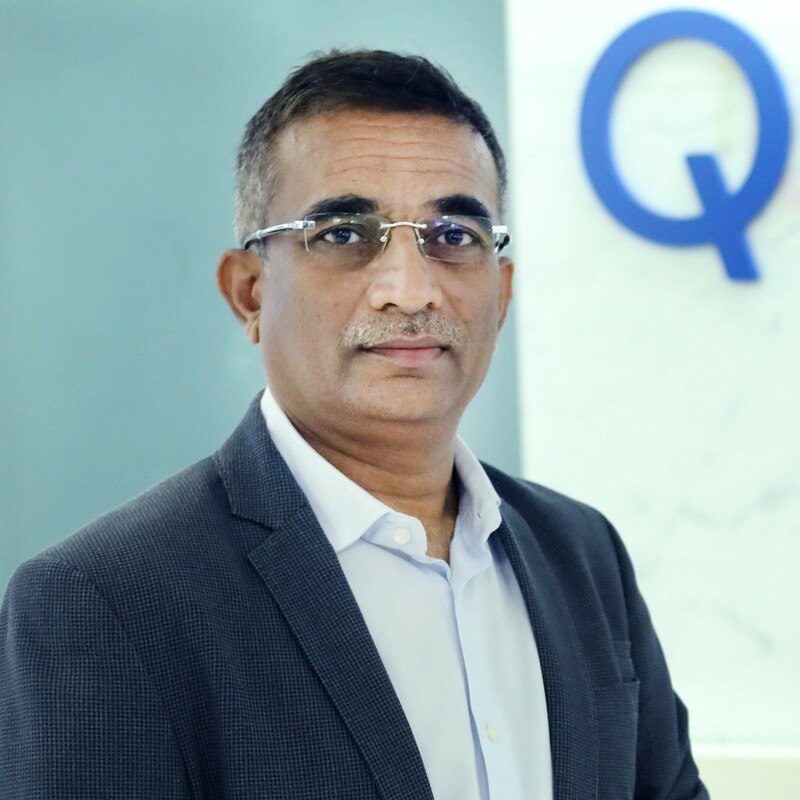 Rajen Vagadia is the current Country Manager, India of Qualcomm. 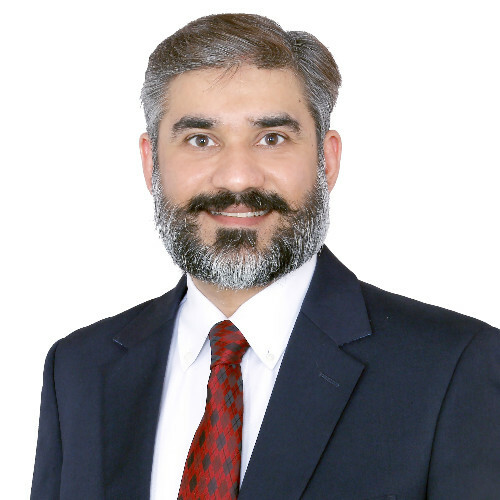 He has more than 26 years of experience in the telecom industry, covering diverse areas in manufacturing, business development and sales, supply-chain and strategy. 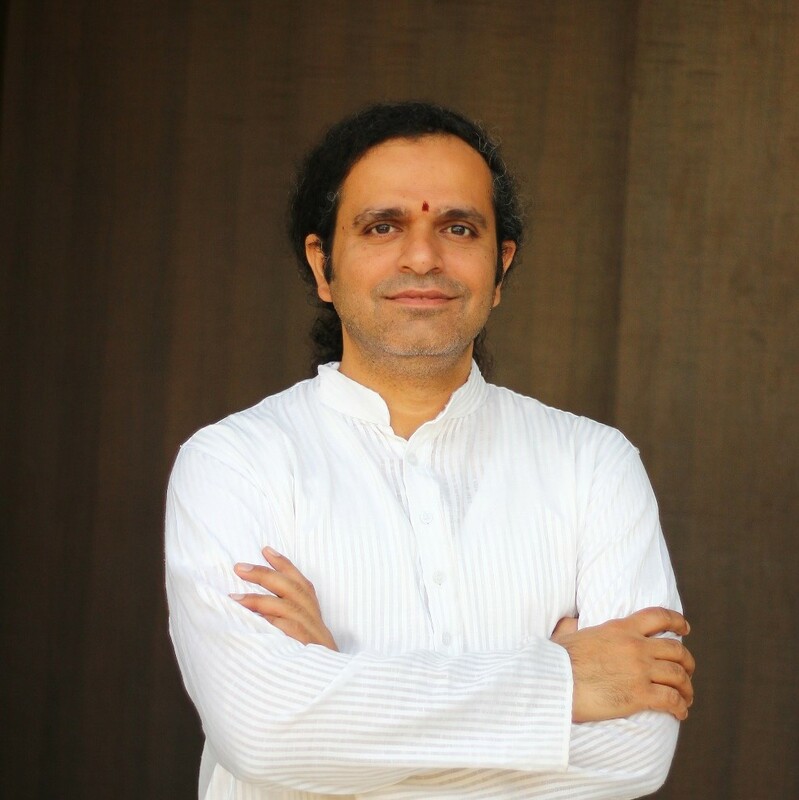 Rajesh Jagasia is a full-time faculty with Art of Living. An electronics engineer from Mumbai University, he now travels round the globe to teach the Art of Living Programs. 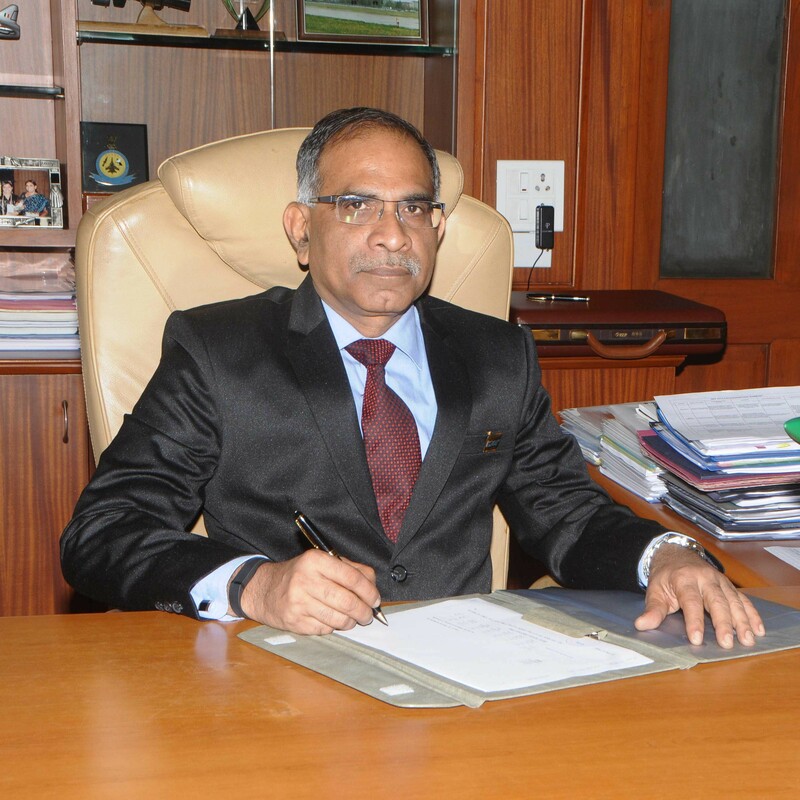 Shri T. Suvarna Raju, took over as Chairman, HAL on 1 February 2015. 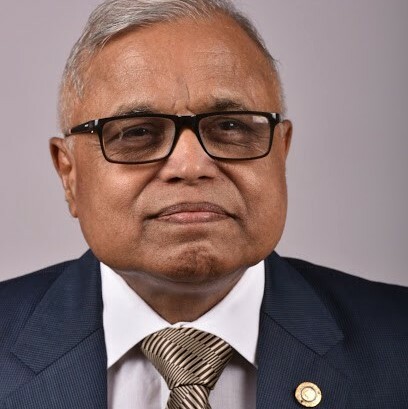 He joined HAL in 1980 as Management Trainee and has worked in different capacities at HAL, before taking over as Director, Design & Development in 2012. He is also the first Member Secretary of Design Development Management Board established by Ministry of Defence (India). As a 25 year's experienced professional in the information and communication technology industry, he has managed and led companies to leadership position across diverse businesses viz. servers, graphics, engineering design, security, networking and data storage. 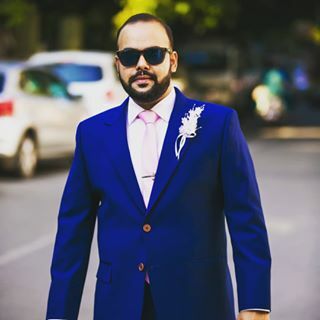 Mr. Yashish Dahiya Co-founded ETechAces Marketing and Consulting Private Limited in 2008 and serves as its Chief Executive Officer. 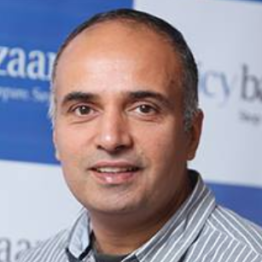 Mr. Dahiya is the Chief Executive Officer and Co-Founder at PolicyBazaar.com. Mr. Dahiya is responsible for managing the eTechAces, formulating and executing the long-term strategy and direction of the company. He served as the Chief Executive Officer of First Europa, a Global Online Insurance Broker with operations in 9 countries. He served as Managing Director for ebookers Plc. He started his career as a Business Unit Head at Illinios Tool Works and later moved on to Bain & Co. to work as a Management Consultant at their London office. 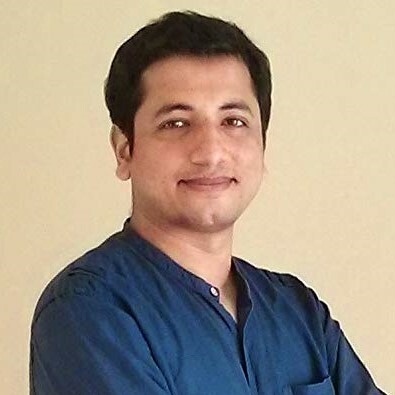 Mr. Dahiya serves as Director of ETechAces Marketing and Consulting Pvt. Ltd., PolicyBazaar Insurance Broking Private Limited, Best eCluster Soft Services Private Limited, Chleon Automotive Private Limited, Accurex Marketing and Consulting Private Limited and Ew in Marketing and Consulting Private Limited. He has been Director of Indiabulls Power Limited since September 30, 2014. He served as a Non-Executive Independent Director of RattanIndia Infrastructure Limited since September 30, 2014 until October 2017. He served as an Independent Director of RattanIndia Power Limited since September 30, 2014 until October 2017. 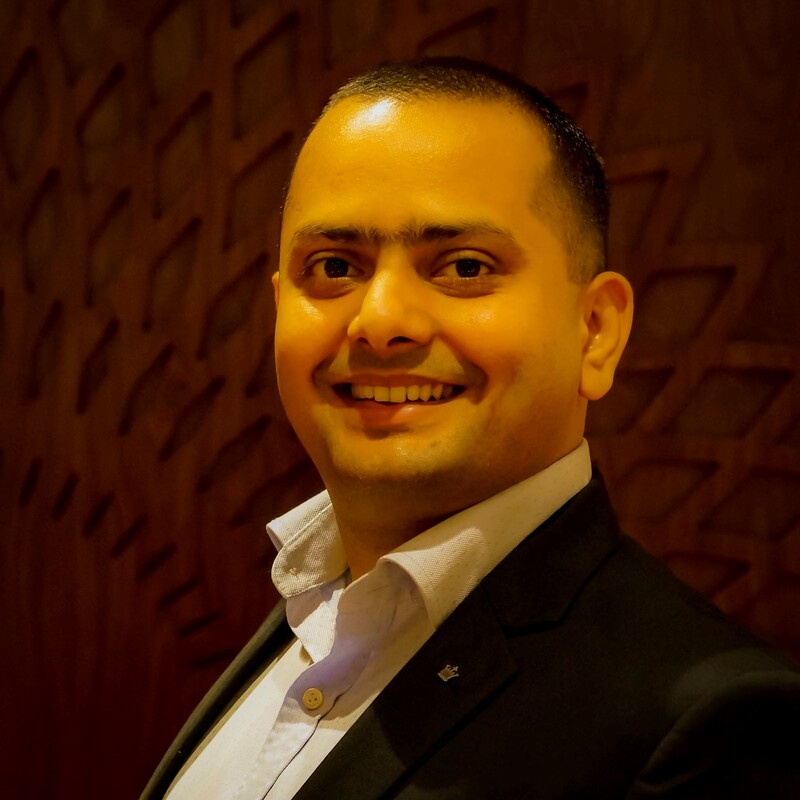 Mr. Dahiya has an MBA from INSEAD, PGDM from IIM Ahmedabad and a Bachelor’s degree in Engineering from IIT Delhi. 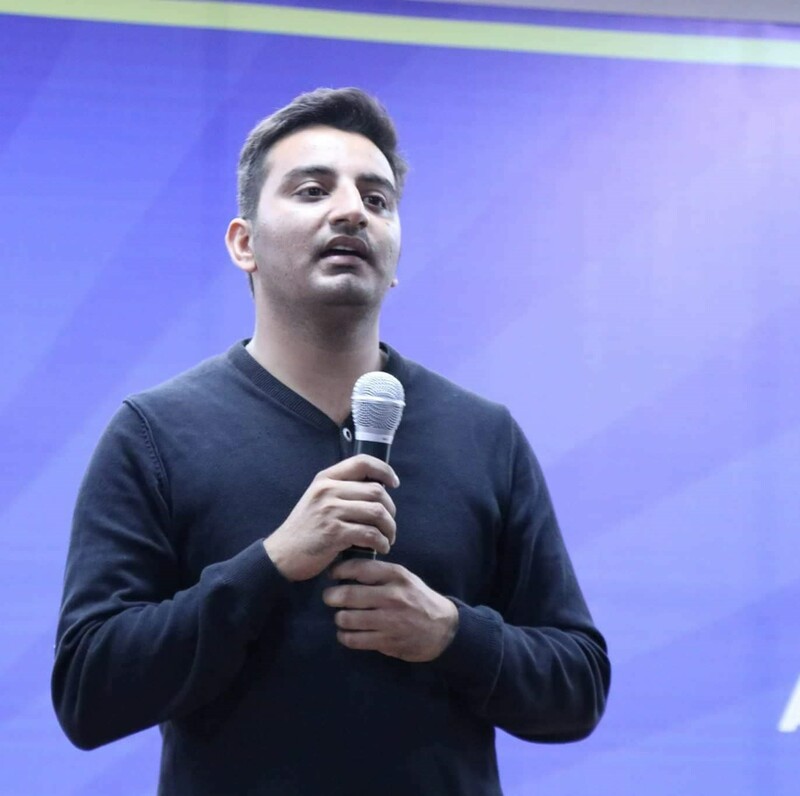 Sanjay Choudhary is the founder of Incuspaze, a co-working and incubation centre that aims to offer offer a complete ecosystem which helps startups sustain and grow. 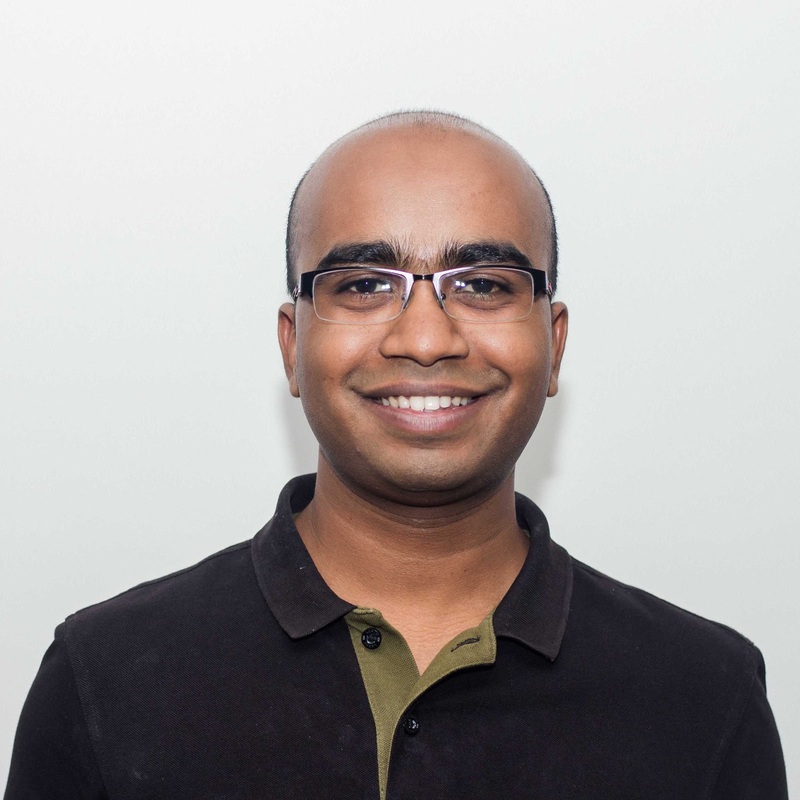 Daniel D'Souza is the co-founder and the current CEO of Crescendo. 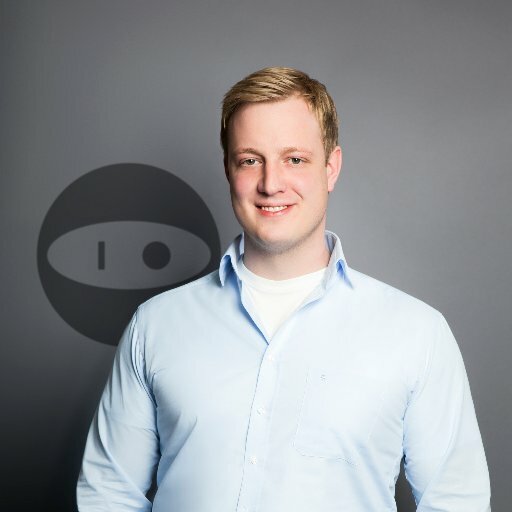 He and his team aim to change the way people treat each other in the workplace by providing tools to individuals, employees, and businesses to analyze their behaviour and provide them the education to improve. 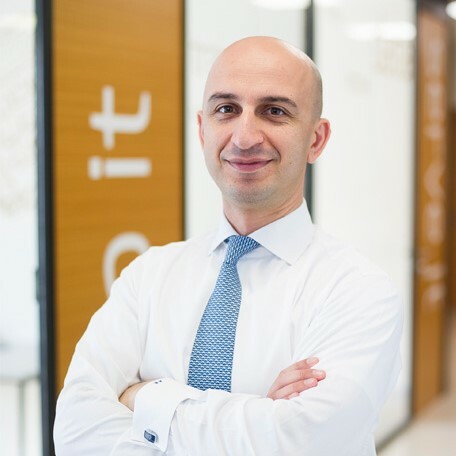 Ahmet Kayhan is the CEO and co-founder of Reidin. They have been the leading provider of property data and real estate information company for emerging markets since 2007. 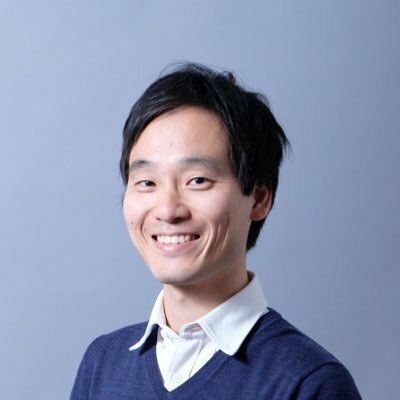 AI and blockchain are some of his other areas of interest. Vinesh Sinha is the founder and Managing Director of Fathopes Energy, which he set up in 2010 with a refund from London's School of Commerce after he dropped out. The company turns waste oils from the food industry in Malaysia into biofuels that he sells to companies globally. Consequently, FatHopes takes waste oils out of the food chain and reduces carbon emissions. FatHopes had sales of $147.6 million last year and is looking for other growth opportunities. 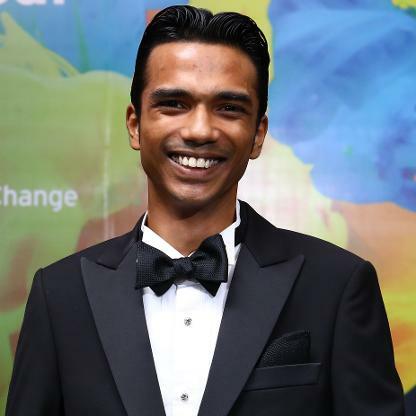 Sinha was nominated for the Ernst and Young Entrepreneur of the Year award 2017. 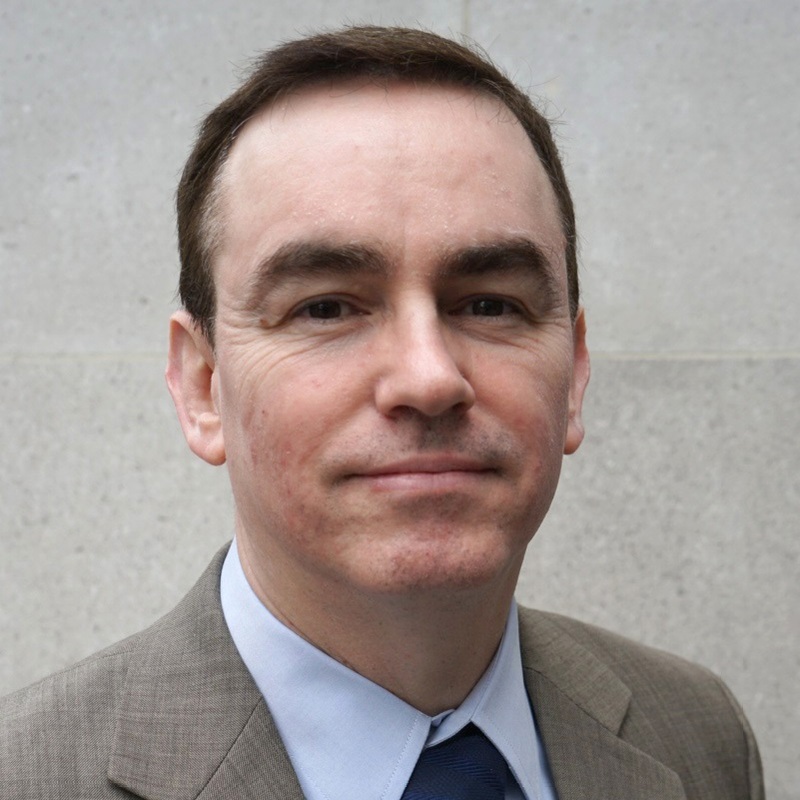 As the founder of print services specialist Webmart, Simon Biltcliffe has blended capitalism and Marxism to create a £30 million turnover business and, true to his upbringing, he ensures the profit is shared among his team and further afield via The Webmart Charitable Trust. Both Biltcliffe and the business have garnered a raft of titles and awards, including IoD Director of the Year 2010 and Future Champion in the 2013 National Business Awards. 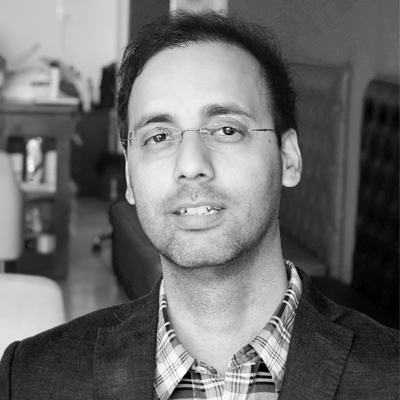 Aditya has done his Masters in Human Resources, Masters in Economics and is a Certified Financial Planner. 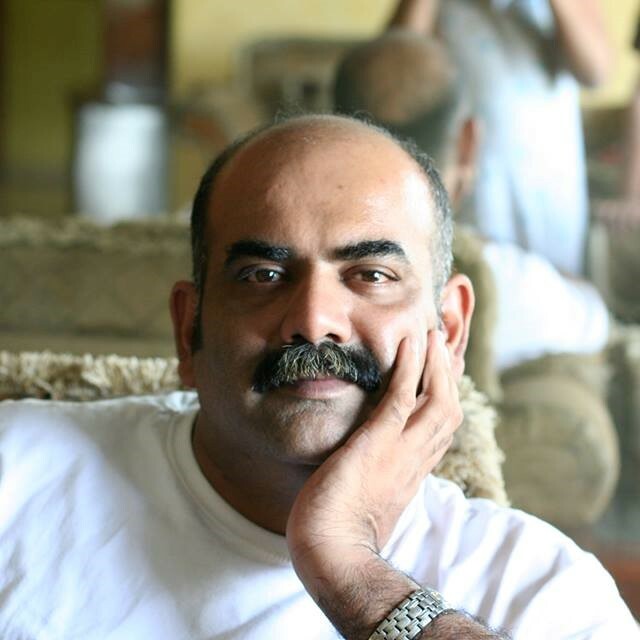 A prolific writer, Aditya has been regularly contributing to various business, financial and education publications. Aditya is also a Member- Editorial Board of International Family Offices Journal (Global Law & Business). Aditya has recently co-authored 2 books on Credit Research and 1 book on Global Family Offices. Aditya is a Member- Occupational Standards Committee of the BFSI Sector Skills Council and is also a Member- Capital Markets Committee of Indian Merchants’ Chambers (IMC). Aditya is also a Mentor with some of the leading global start-up accelerators. 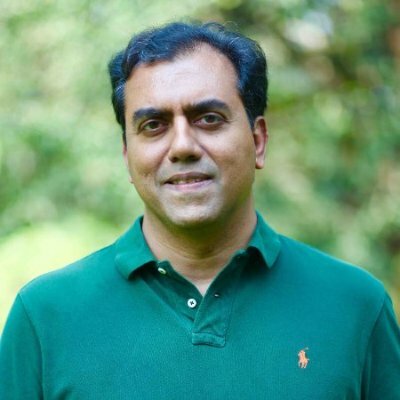 Popularly known as the Clothing Man and recipient of 2015 Ramon Magsaysay Award, Anshu Gupta has done Mass communications twice and has a masters in Economics. 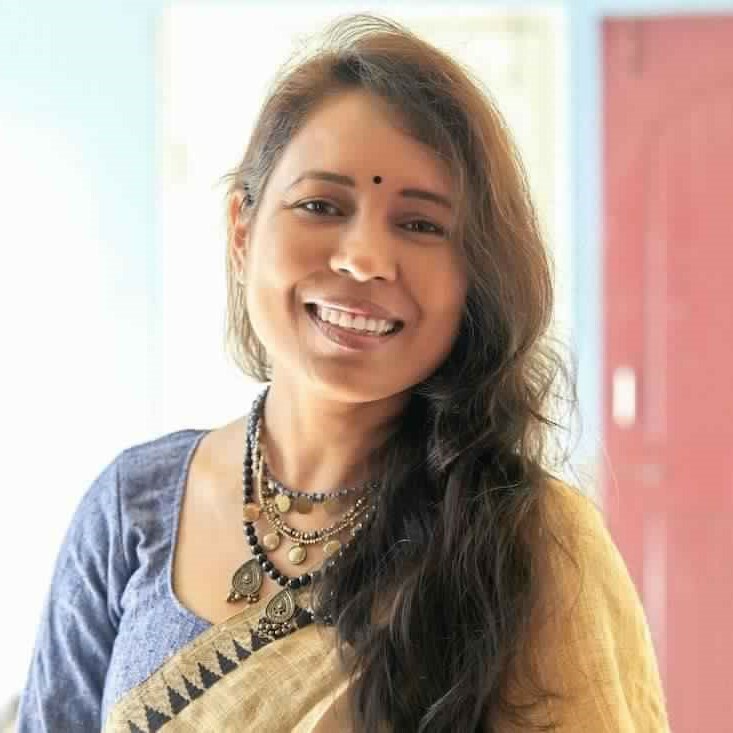 Starting as a freelance journalist, Anshu left a corporate job in 1998 and founded Goonj with a mission to make clothing a matter of concern and to bring it among the list of subjects to work on, for the development sector. Drums Food is the parent of Epigamia, a new age FMCG brand and India's first Greek Yogurt. 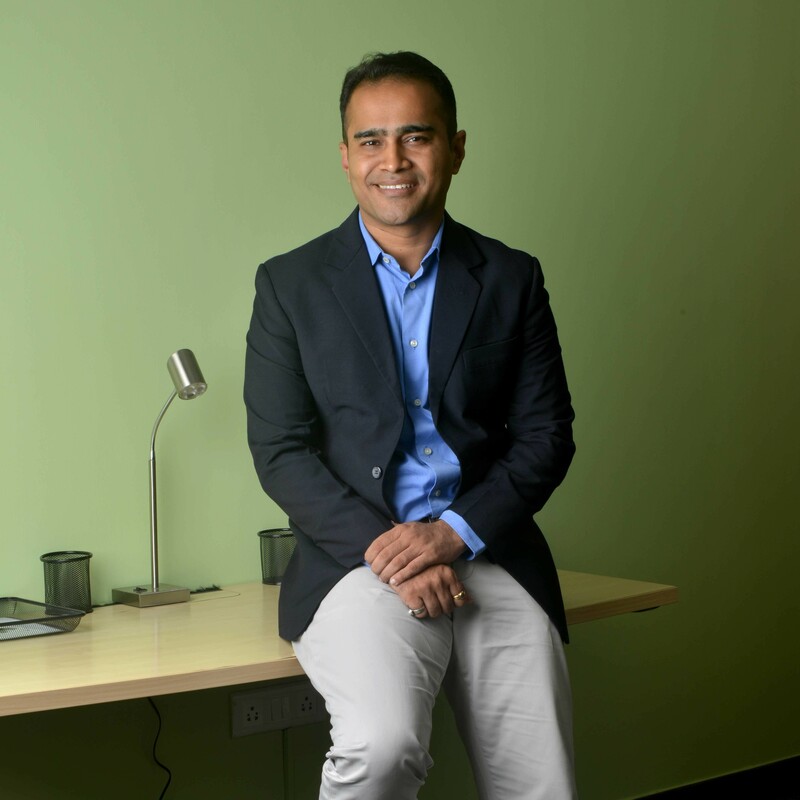 A MBA graduate from wharton School, he seeks to change the Indian FMCG scenario. 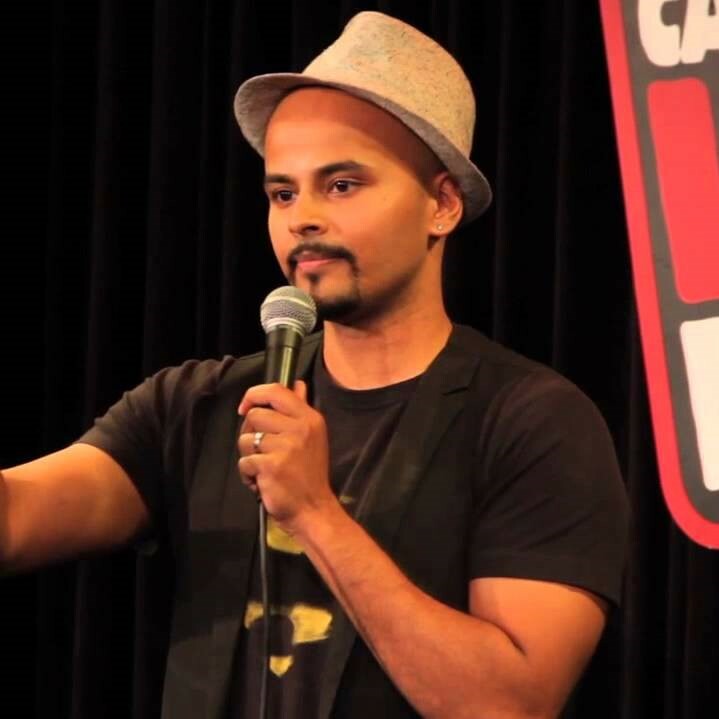 Sorabh Pant is an Indian stand-up comedian and writer. He has performed over 250 shows in multiple cities. 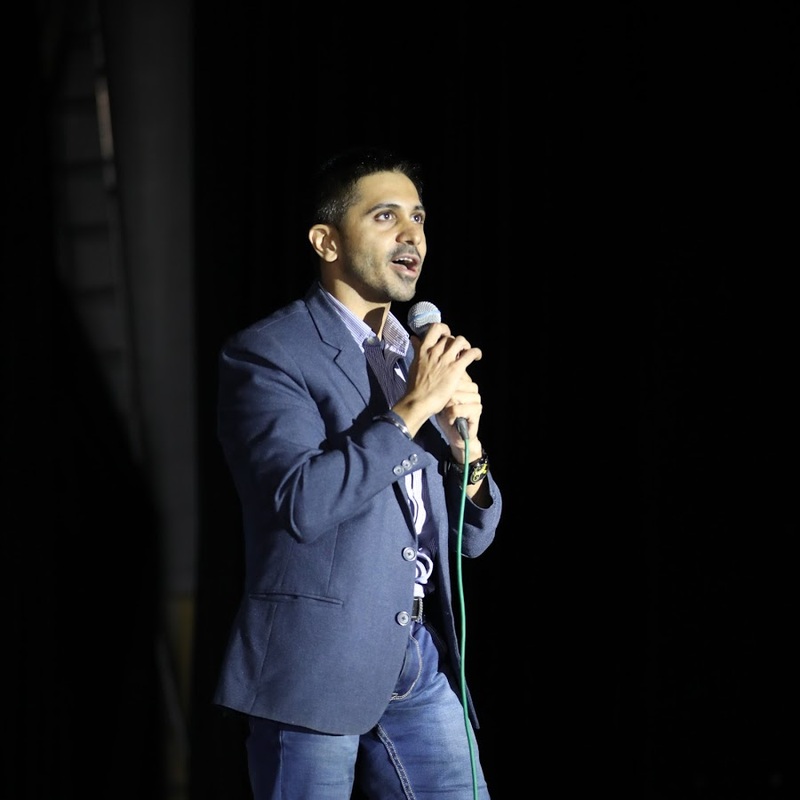 He was rated amongst India's top 10 stand-up comedians by The Times of India. In a poll by IBN Live in March 2012, he was listed No. 1 of the 30 most interesting Twitter users in India. 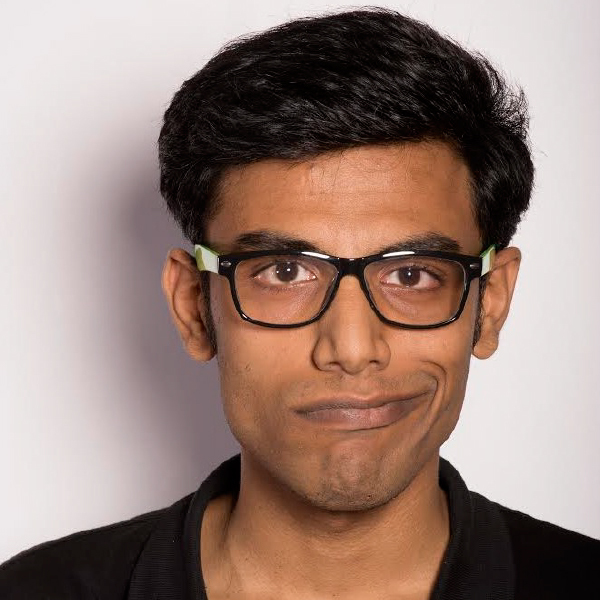 Biswa Kalyan Rath is an Indian stand-up comedian, writer, and YouTuber. He came into prominence through a YouTube comedy series, Pretentious Movie Reviews with fellow comedian Kanan Gill. He played a cameo role in Brahman Naman, and another minor role in his show, Laakhon Mein Ek. He is from Odisha. 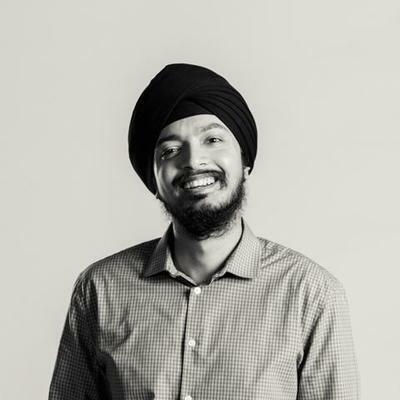 Harshjit leads investments in early stage businesses at Sequoia Capital India and is involved with several of the Fund’s investments in fintech, SaaS and consumer internet. Prior to his role at Sequoia, he was an early employee at Dropbox where he used to lead the Android product and saw that product scale to hundreds of millions of installs. He completed his undergraduate and graduate degrees in engineering from Stanford University where he was a Frederick Terman scholar. 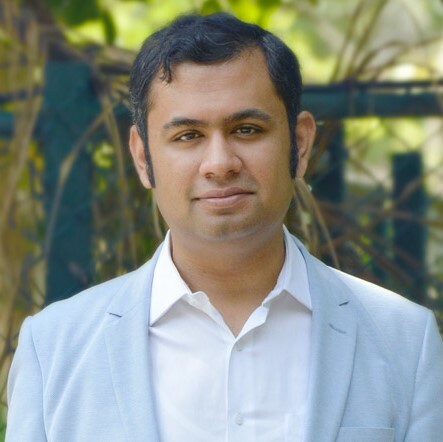 Rehan Yar Khan is Managing Partner at Orios Venture Partners. 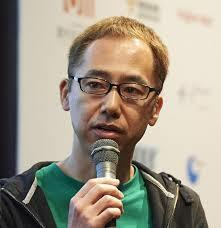 He is also an angel investor who led 15 startup investments; and made another 5 as a passive investor. Many of these have gone on to receive multiple rounds of investments, some have exited and some like Druva and Ola are amongst India's best known "startups". An investment experience of +10 years full time with specialization in Listed Equities and Startups. As an Angel investor, invested in 24 early stage startups. Set up debut early stage SEBI registered VC fund of $25mn in 2018 which focuses on growth stage companies. Mr. Hiranmay Mahanta is a honorary director of GTU Innovation Council and Student Start-up Support System which caters the needs and support process of innovation and start-up efforts of half a million youth across GTU covering more than 500 professional colleges. For unique honorary contribution in last 5 years in building student innovation and start-up ecosystem in the state of Gujarat, GTU awarded him a special Gold Medal for his contribution to the State of Gujarat during GTU Innovation Sankul day. He is also a Member, University Start-up policy committee, Govt. of Gujarat. As a member of AICTE start-up policy implementation committee; he is making national strategy to take the innovation and student start-up movement across 10,000 plus colleges affiliated with AICTE across all states to harness creative potential of students across disciplines. He has been nominated to contribute to a dozen Technology Business Incubators to support young start-ups. He is a graduate of SVNIT Surat in Electronics & Communication Engineering class of 2010. 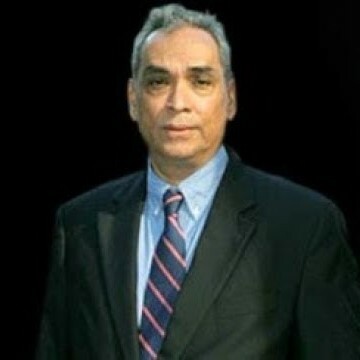 Balbir Punj (born 1949) is a journalist and columnist from India. 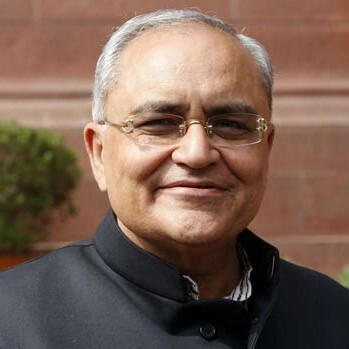 He is a member of the Rajya Sabha representing the Bharatiya Janata Party (BJP). 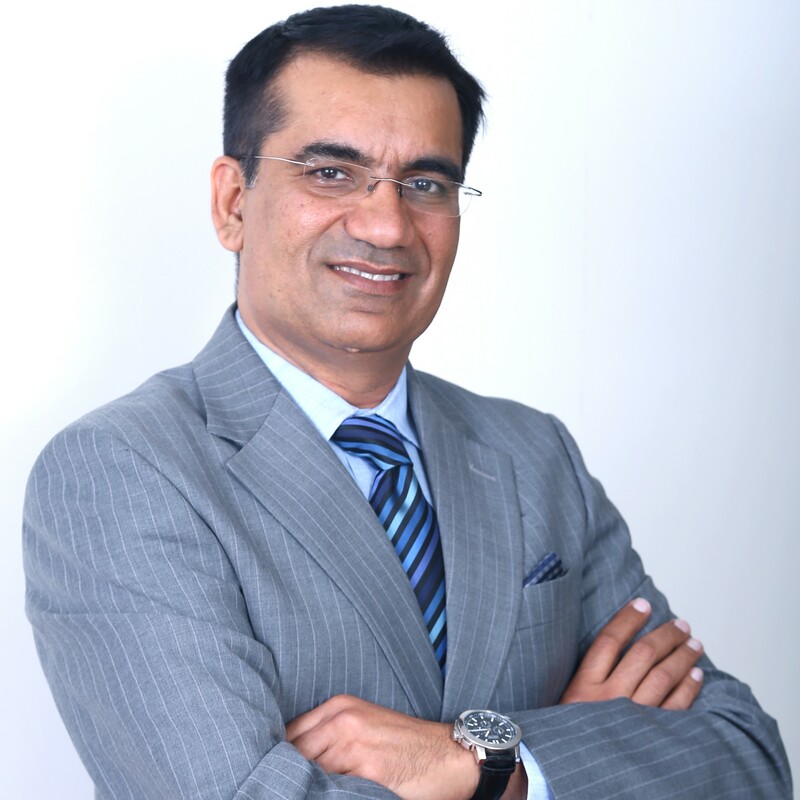 Nikhil Desai is an International Speaker, Motivator and Trainer for the last 27 years. He is passionate about enabling people to excel in their personal and professional lives. He received a LIFETIME ACHIEVEMENT AWARD at the WORLD HUMAN RESOURCE CONGRESS. Delegates from a very large number of countries from all over the world attended this conference. 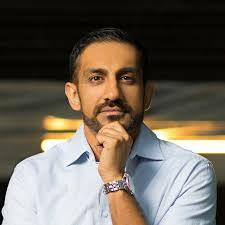 Saurabh is India's premier business coach and best known for helping business owners and entrepreneurs 3X to over 10X their businesses through his private one to one business coaching. 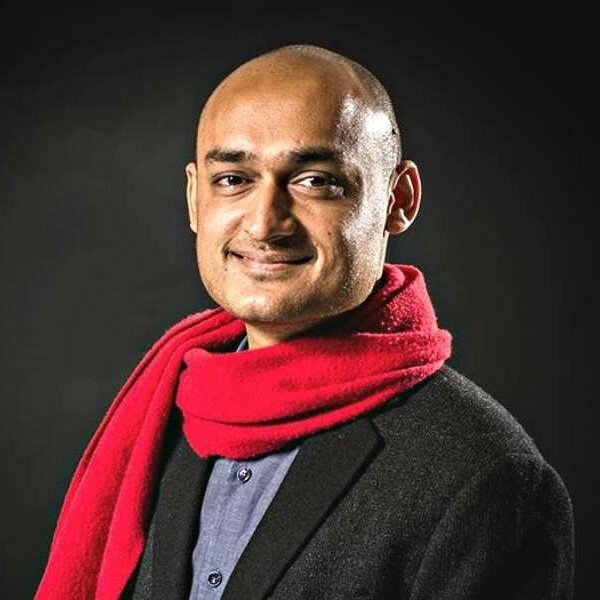 Over the last 12 years Saurabh's work has been embraced by top fortune 500 leaders, leading business institutions, associations, business owners and thousands of entrepreneurs around the country. 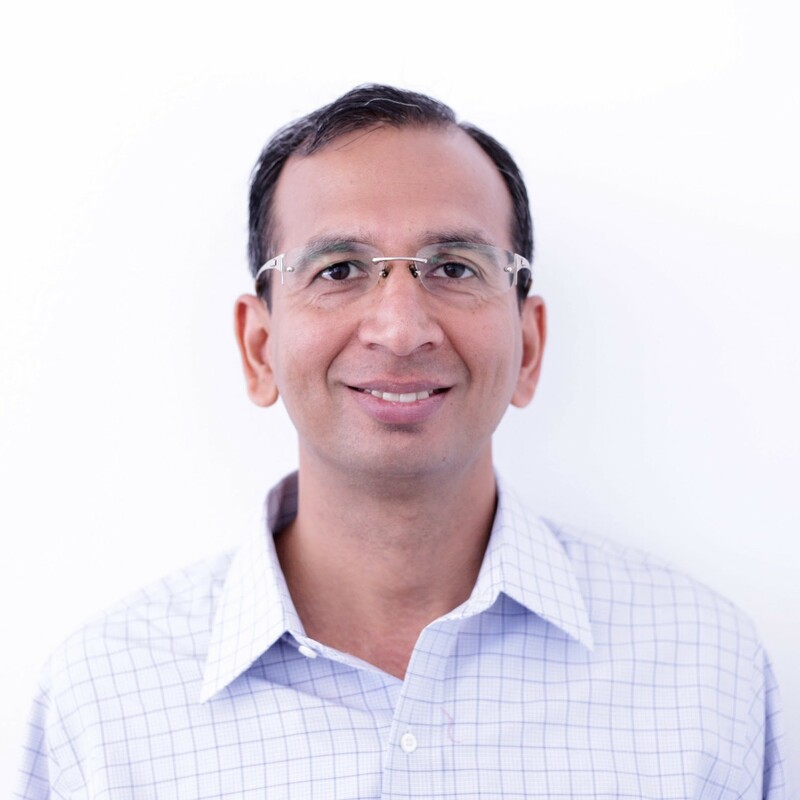 Sharat Chandra currently serves as the Advisor of Nowa Labs, A Blockchain startup from Singapore.In addition, he also leads the Bangalore Chapter for Government Blockchain Association (GBA). 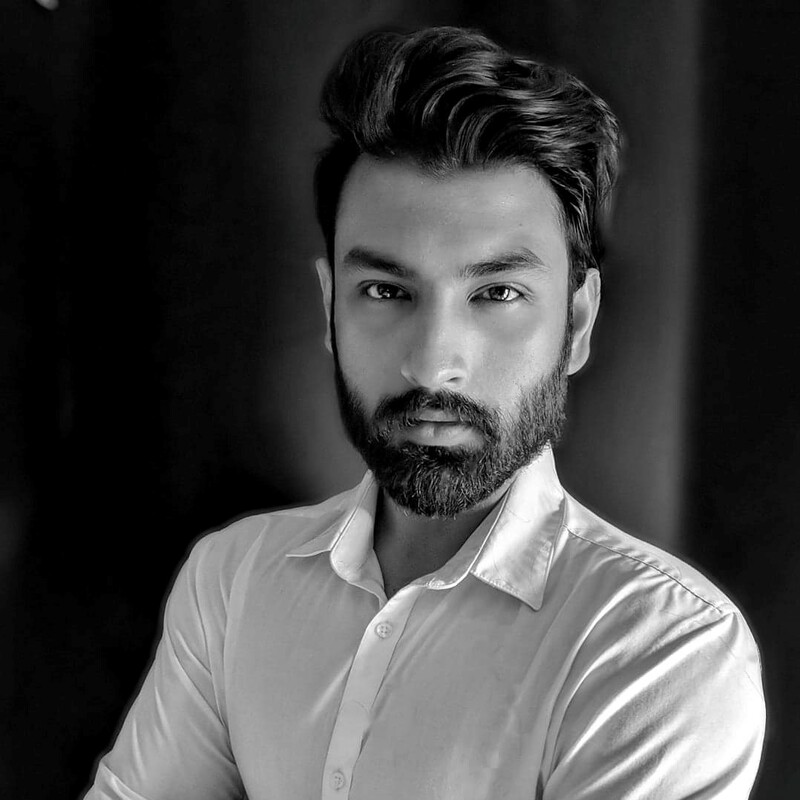 Sharat is a Blockchain Council Member, Consultant, ICO Advisor and Content Marketer. He has rich cross-functional experience in US Healthcare, Financial Services and IT. 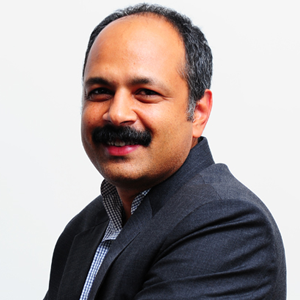 Sharat has worked with leading Fortune 500 companies such as Apple, American Express, Cognizant. General Electric and Polaris. 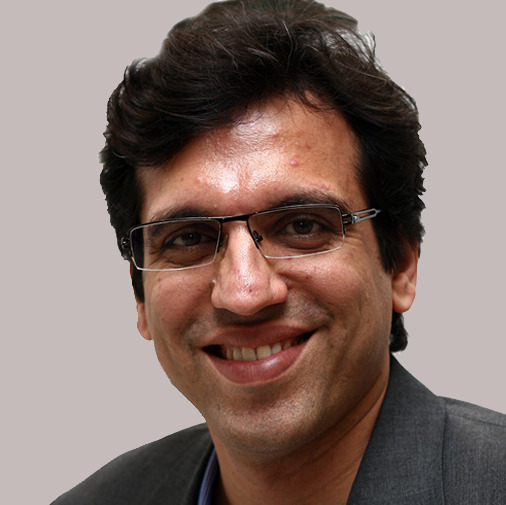 Abhishek Maheshwari leads Disney’s India business. 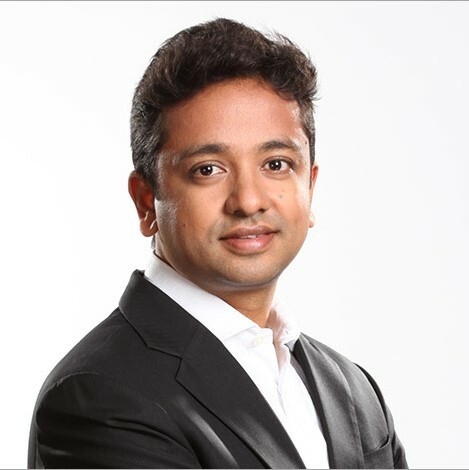 In this role, Abhishek is responsible for strategy formulation and execution across all of Disney’s brands and businesses in India and the SAARC countries. The businesses include One Media - comprising of Linear Channels, Interactive and Gaming, Disney Media Distribution and OTT, Consumer Products comprising of licensing and retail across categories and Theatrical including all of Disney’s global releases and the Live Entertainment Business. 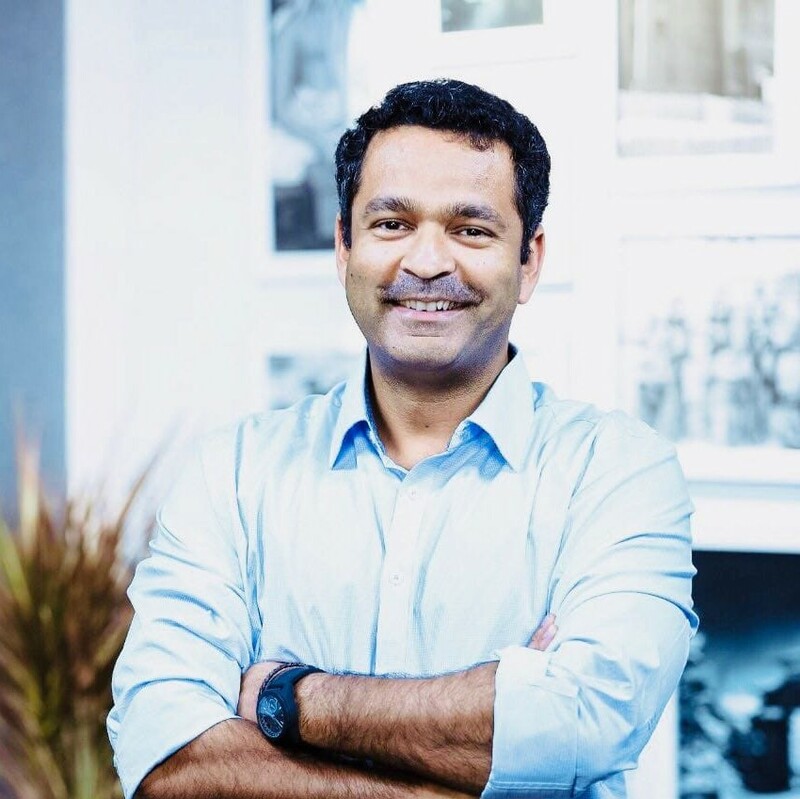 Amit Ramani is the Founder and CEO of Awfis, a new-age technology venture that is redefining the current business landscape by creating an ecosystem of workspaces for the small medium individual local entrepreneurs (S.M.I.L.E.) on a just-in-time basis. 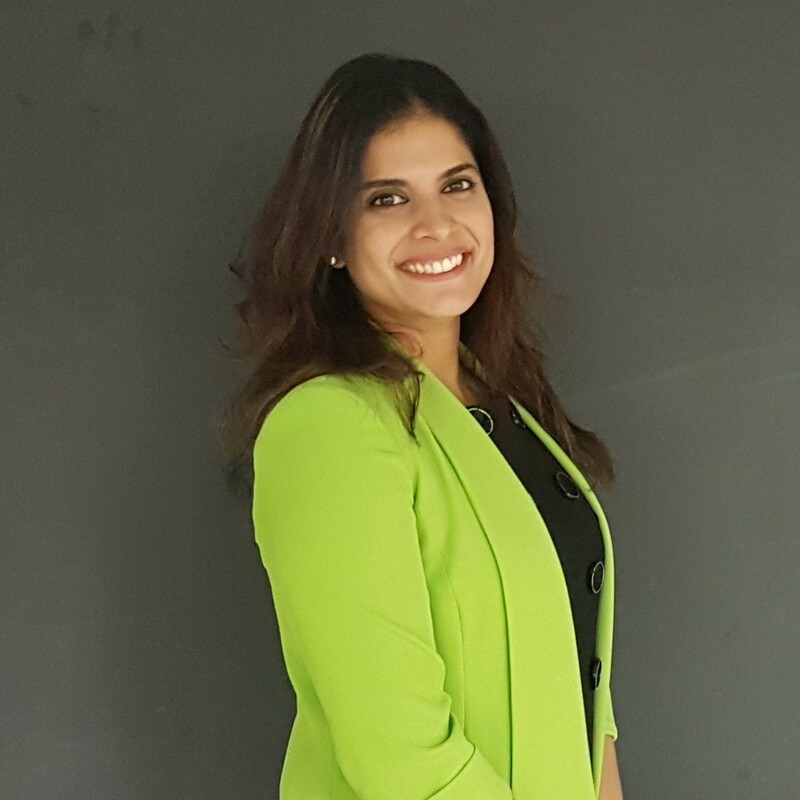 Sherina Kapany is a true entrepreneur at heart, a seasoned business development executive, with international experience in establishing market penetration strategies in B2B and consumer marketing environments for Fortune 500 & 1000 & Global 2000 companies and Private Sectors. Shalini believes in the magic that happens at the intersection of entrepreneurship and technology. Her interests lie in understanding how these intersections can be empowered to create transformational solutions. Currently, a Venture Partner at 500Startups, a global venture capital firm, and accelerator based in Silicon Valley with a total of over US$350M under management. 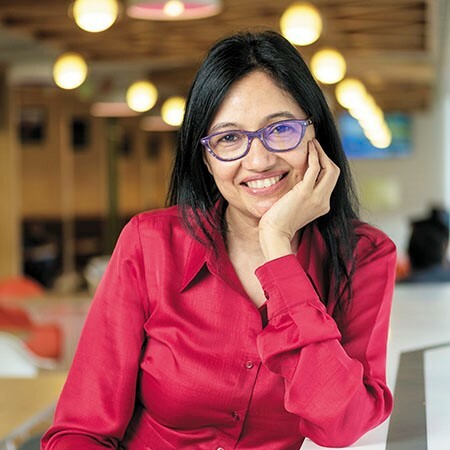 Her focus is to head 500’s investments, expertise, and operations across India and help invest in the region’s most talented founders and promising startups. As an active member in the startup ecosystem, she is an Advisor to AngelList India and WeWork (startup labs). She is associated with several initiatives like Xprize’s Safety Prize as a panel member, Mentor at Facebook’s SheLeadsTech and was the Global Ambassador of Women’s Entrepreneurship Day (UN supported initiative) in 2016. Recently, she was a part of the “40 Under 40” India Alternate Investment Professionals list. She was recognized as Linkedin TopVoice 2017 and was awarded the prestigious fellowship at the Royal Society of Arts, Manufactures and Commerce (RSA), London. Prior to joining 500, she was working with INKtalks (previously in association with TED) where her roles involved promoting INK’s platform through collaborative programs and partner networks. Apart from these engagements, she was an “Entrepreneur in Residence” at GSF Global Accelerator Program, Mentor in Residence for IDEX Accelerator Program and a Program Manager at Kyron Accelerator Program. 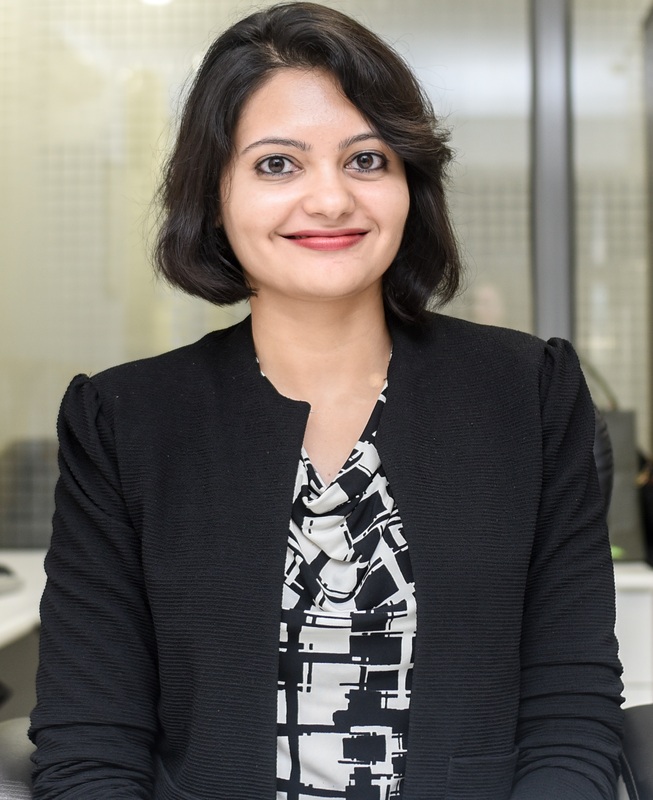 She holds Master of Science (MS) from London School of Economics (LSE), MBA from Liverpool Business School and is an Engineering Graduate from RVCE Bangalore. Tirthak Saha is an Energy and Climate Change specialist working in the United States. He was awarded the Forbes 30 Under 30 title in 2018 for his work in modernizing the electric grid for one of the nation's largest utilities, American Electric Power (2016-18) and for his Space Energy Systems research with NASA (2014-2015). He is currently the Co-Founder of Trolysis - a renewable energy company developing innovative solutions to the world's Energy and Climate Change problems. 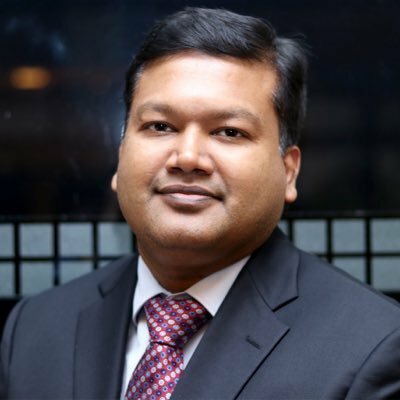 Romal Shetty is a Partner in Deloitte India and serves as the National Leader for its Consulting function. 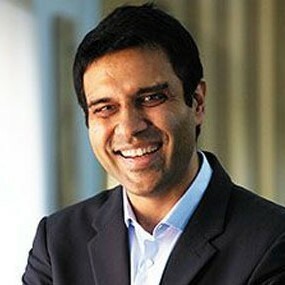 He is also a member of the India Executive Committee at Deloitte. He has over 21 years of Advisory experience in leading large and complex transformation programs. 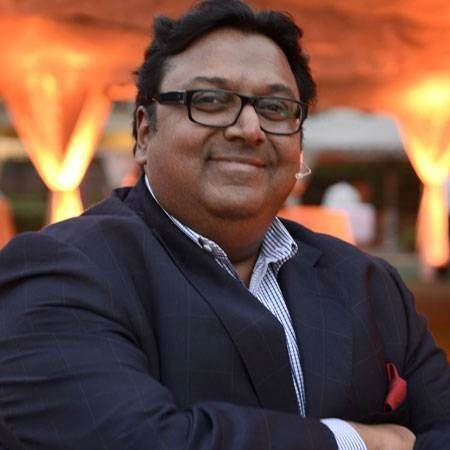 He has worked across 30+ countries with a cross section of Indian and global clients, including start-ups and established companies to shape up their growth strategies, profitability, technology and people agenda. 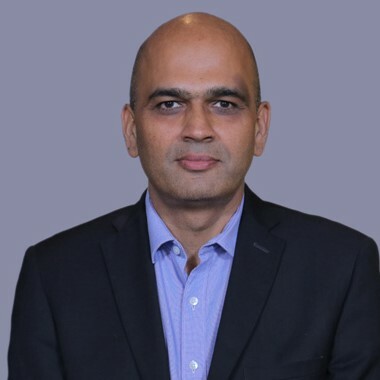 He specializes in helping companies drive transformation programs like Turnaround Strategy, Digital Transformation, Post merger Integration, Target Operating Model, Analytics, Customer Experience and Leadership Development. He has experience in industries like Retail, Financial Services, Infrastructure, IT/ ITeS, TMT, Hospitality and Manufacturing. 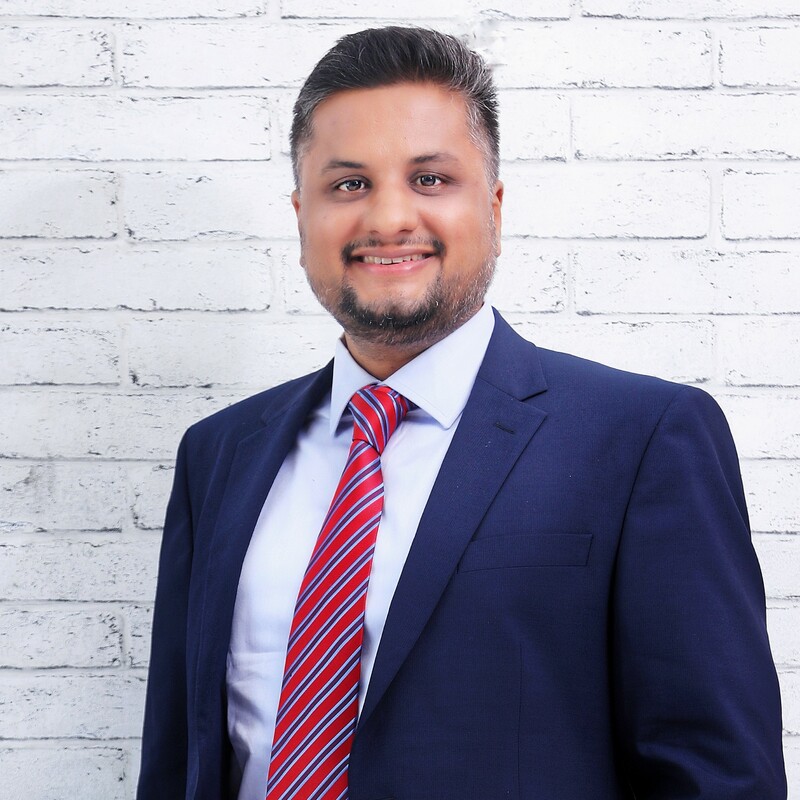 Romal is a trusted Advisor and possesses strong relationships with Board of Directors, CEOs, CFOs, CHROs, CTOs and Strategy Directors across sectors. 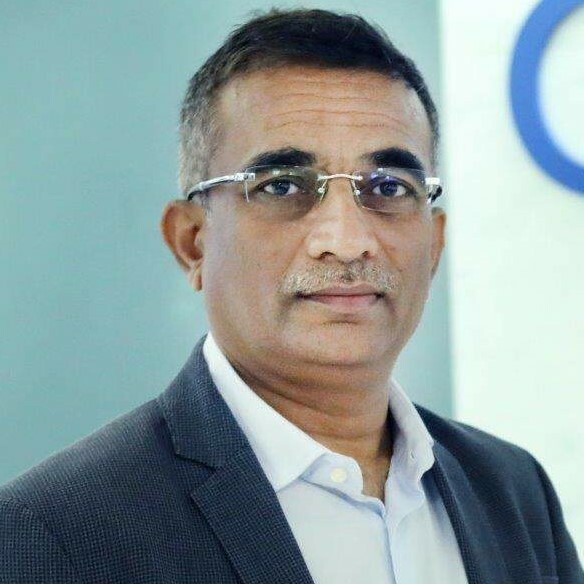 He is also a regular author and panelist in various national and international events providing subject matter expertise on topics such Simplification and corporatization of businesses, Digital and Technology roadmap, Changing role of CXOs in digital era and monetization of assets, HR Transformation and Leadership, Market competition & Pricing strategies and others. Romal is a qualified Chartered Accountant and a Certified Information Systems Auditor. He has also completed Executive Leadership International programs from INSEAD and Harvard University. 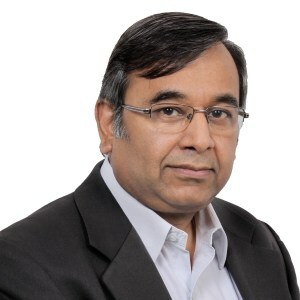 Debabrat (Debu) Mishra is a Partner with Deloitte Touche Tohmatsu India LLP and leads the Consulting Innovation and Alliances at Deloitte India. He is also the India lead for Deloitte’s Future Of Work initiatives. 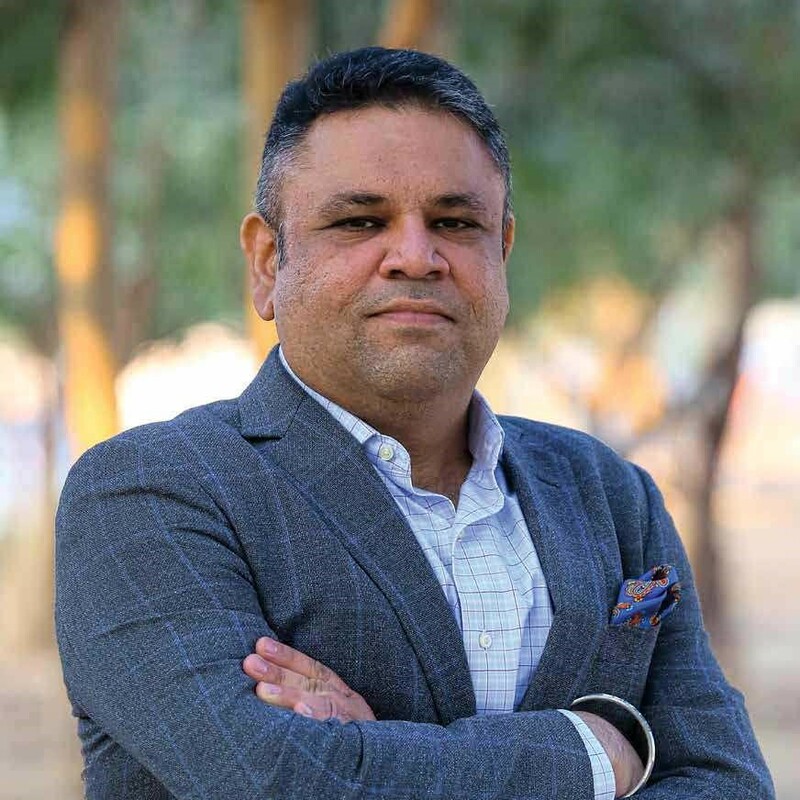 Debu has over 27 years of experience leading and delivering talent, leadership, innovation and performance solutions to Global Organisations in India, Middle East, Africa, China, USA and South East Asia. He is an active blogger and speaker with a deep interest in social and digital channels. Debu is regularly quoted in the media on topic like leadership, start-ups and entrepreneurship. 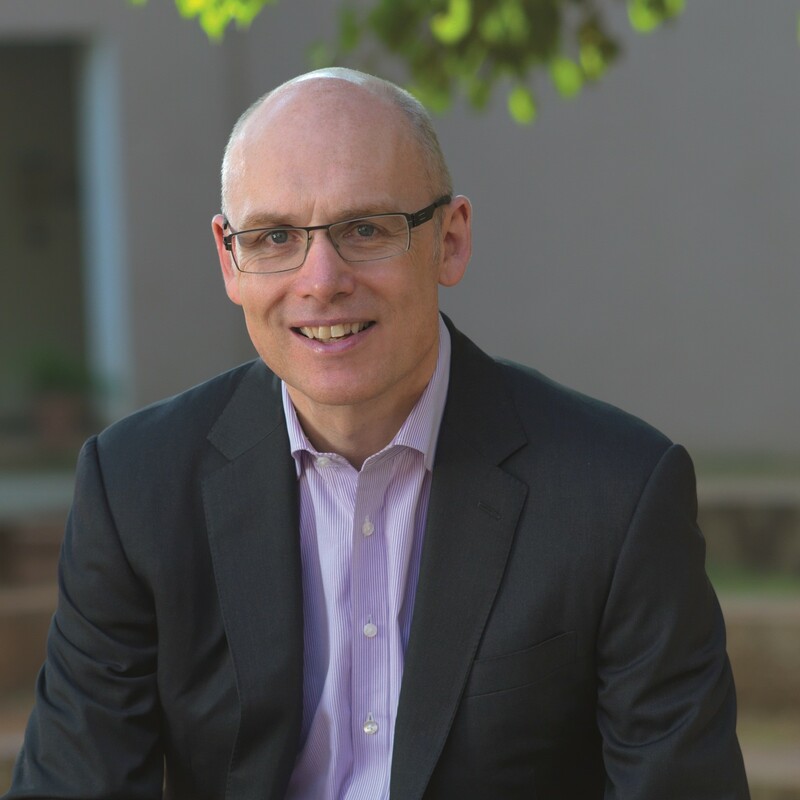 He currently leads Deloitte India efforts in building a vibrant startup catalyst platform. 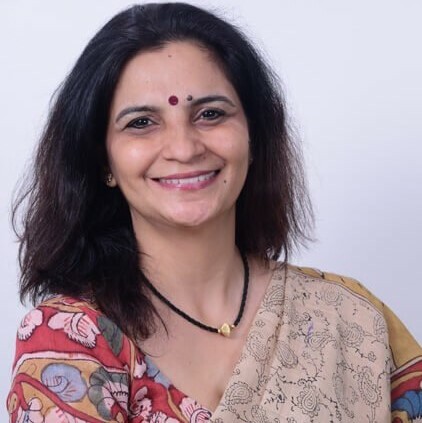 Aditi leads investments for Asha Impact, a multi-family office investment firm, that invests in mass market focused businesses. Her prior experience includes Co-Founding Contrarian Capital, an early stage investment fund focused on technology led businesses . At Contrarian, she led investments in consumer and enterprise technology businesses across finance, healthcare, education, and enterprise SaaS. She previously worked with Motilal Oswal Private Equity and Yes Bank. Aditi holds an MBA in Finance from FMS, Delhi and a Bachelors in Technology from Indraprastha University. 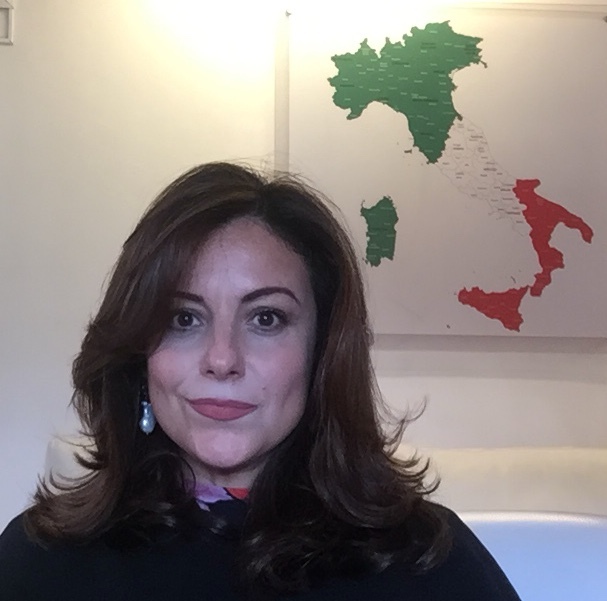 Ms. Stefania Costanza started her mission as Consul General of Italy in Mumbai in October 2017. Born in Palermo in 1976, Ms. Costanza studied at the University of Florence, where she graduated in Political Science in 1999. In 2002 she joined the Italian Diplomatic Service and started working at the Ministry of Foreign Affairs. Ms. Costanza has a long international (Buenos Aires, Argentina 2007-2012; Kabul, Afganistan 2012-2014) and domestic experience (Head of the Consular Protection Division in the Consular Affairs and Migration Policies Department; Deputy Head of the UN Division at the Political Affairs and Security Department; Deputy Chief of Staff of the Head of the Department of the Italian Ministry of Foreign Affairs) in international affairs. Ms. Costanza is fluent in English, French and Spanish. She also speaks Portuguese and German. 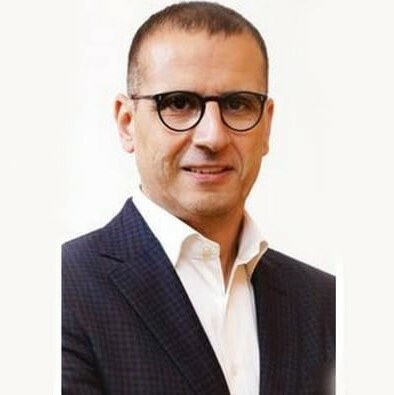 Born in Rome in 1968, Mr. Fabrizio Giustarini has a degree in Economics and has been associated with the Italian Trade Agency since 1992. 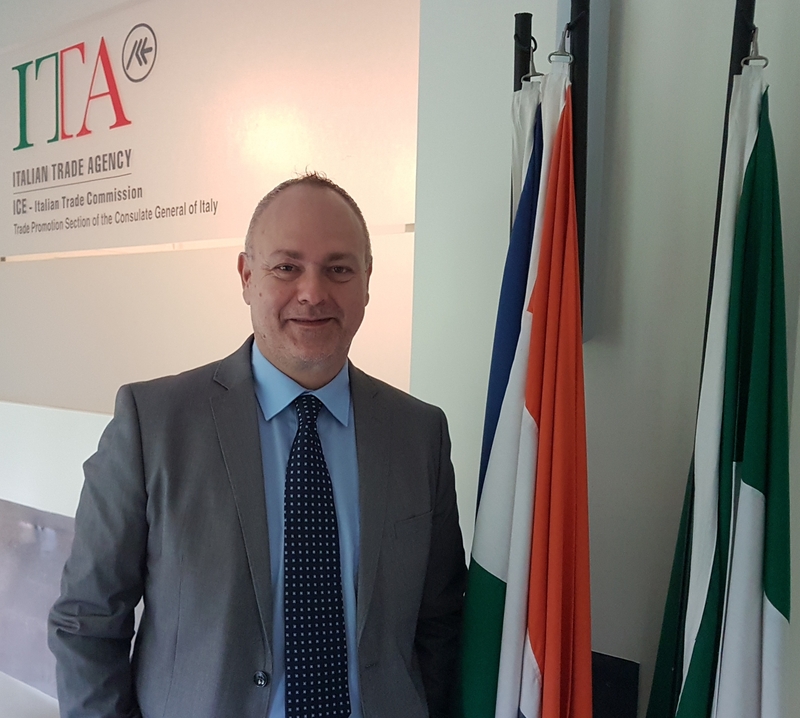 He has been a part of the Administration, Director General and Networking Management Office at the head office of the Trade Agency in Rome and has worked in the Italian Trade office in Moscow and Atlanta, before joining Mumbai in June 2018 as the Trade Commissioner. Mr. Giustarini is well-versed with the trade scenario between Italy and India, especially the focus sectors of construction, construction material, infrastructure and smart cities, among others. He is proactive in promoting and improving trade between the two countries. Mr. Giustarini keeps himself updated with industry related events and news and is always interested in participating in relevant activities to strengthen bilateral trade. 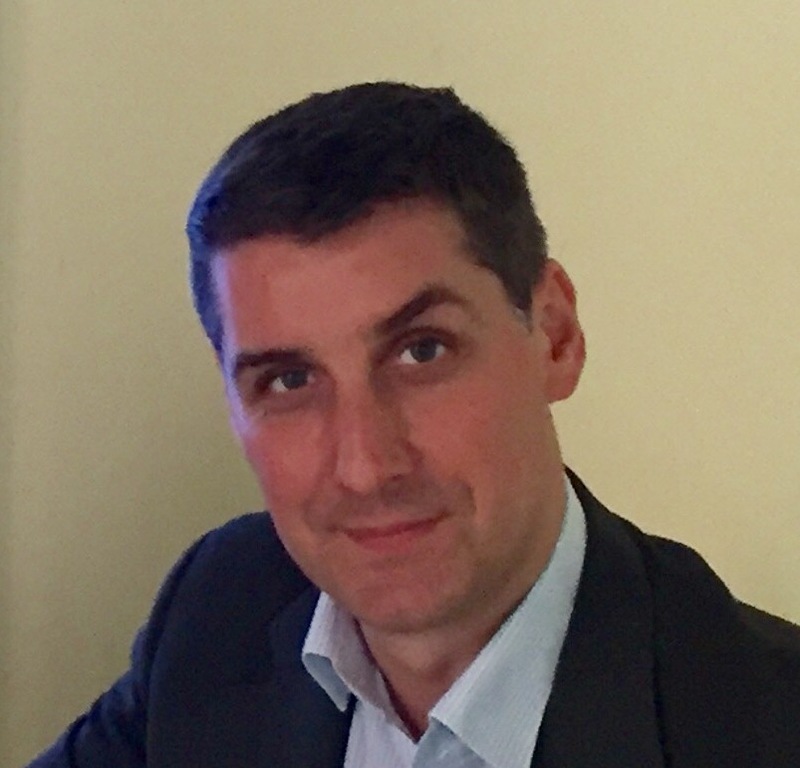 After graduating in Philosophy at Parma University, Parma, Italy, Claudio Maffioletti earned a Postgraduate Diploma in Management at City University – Cass Business School, London, UK. Upon his return to Italy from the UK, he was appointed as General Services Manager at the Institute for International Political Studies, Milan, a research center devoted to the study of geopolitics and international relations. 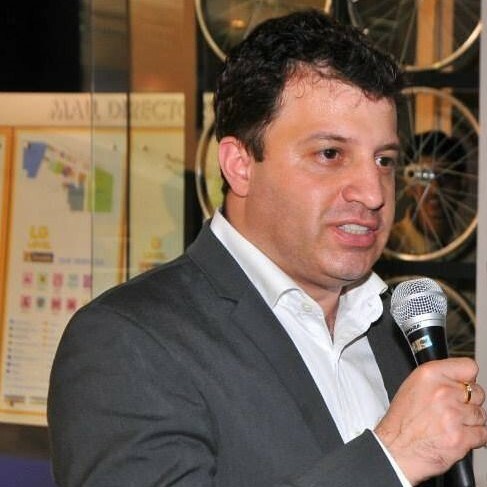 Mr. Maffioletti moved to Mumbai, India in April, 2007, as a General Manager of the Indo-Italian Chamber of Commerce and Industry (IICCI), where he was in charge of the Business Assistance, Operations and Financial Control divisions. He is the Chief Operating Officer and Secretary General of the IICCI since 2015. 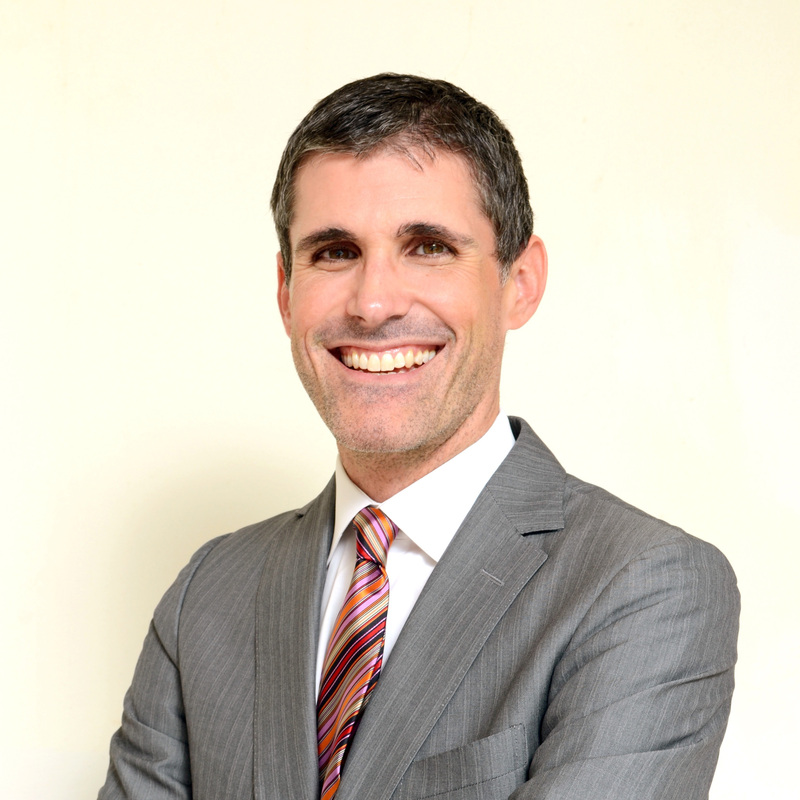 David Bardolet is Associate Professor of Practice of Strategy and Entrepreneurship at SDA Bocconi School of Management. 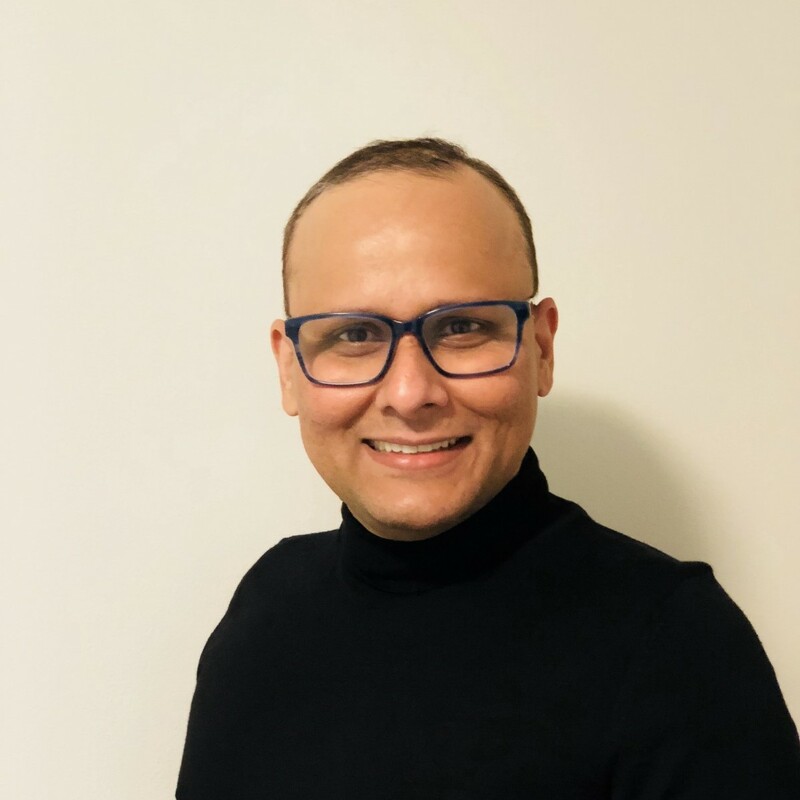 He is a Teaching Fellow in the Management and Technology Department at Bocconi University and since january he is Associate Dean for SDA Bocconi Asia Center. 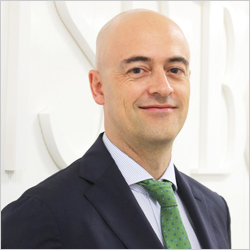 His cooperation with SDA Bocconi began in 2015. Since then, he has taught courses in business strategy, corporate strategy and entrepreneurship in many programs. He has also conducted research and training programmes with many multi-national companies in a variety of industries. His current research activities focus on helping companies to improve the efficiency of their corporate entrepreneurship efforts. His past research activities have focused on behavioural strategy, resource allocation, strategic decision-making processes, corporate strategy and corporate entrepreneurship. In particular, he has conducted a number of studies on corporate resource allocation processes and the managerial biases that affect the efficiency of those processes. 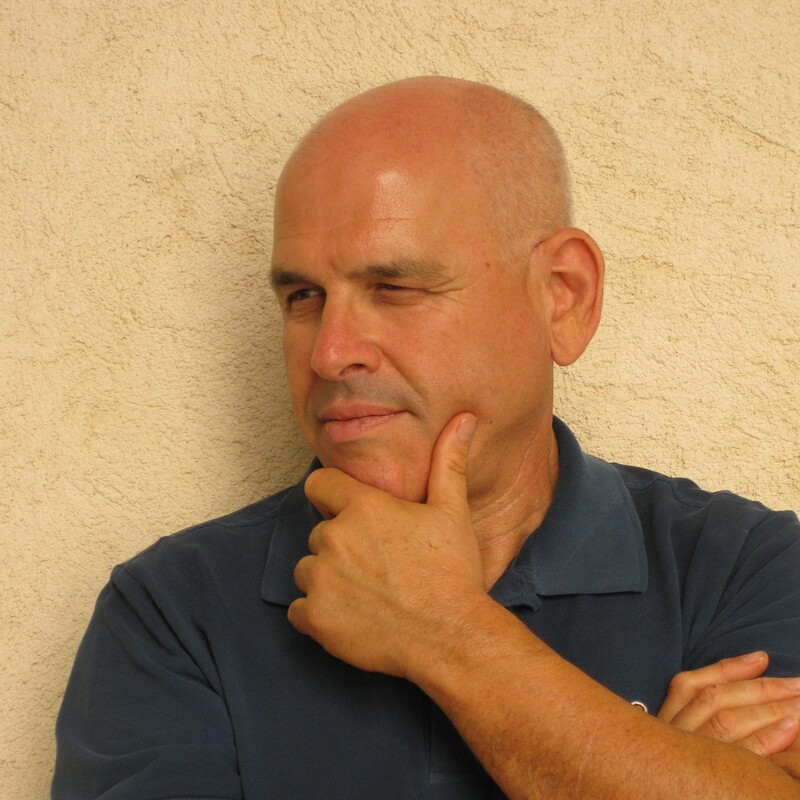 He is the author of several articles on those subjects. His works have been published in Journal of Management, Strategic Management Journal and Industrial and Corporate Change, among others, and his research has been presented and discussed in numerous academic conferences. He has won the Bocconi Teaching Excellence Award three times. David earned a Degree in Industrial Engineering from Universitat Politècnica de Catalunya in Barcelona (Spain), an MBA from IESE Business School in Barcelona (Spain) and a Ph.D. in Management from the University of California Los Angeles (U.S.).